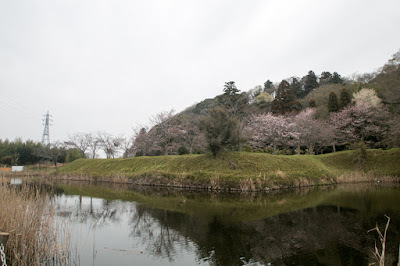 Sakura castle (佐倉城) is place on the Kashimayama hill at the center of Sakura city. 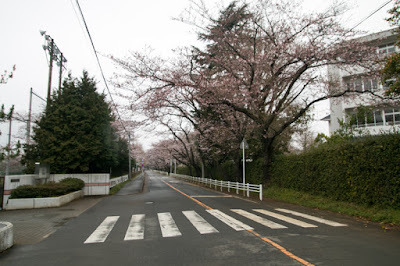 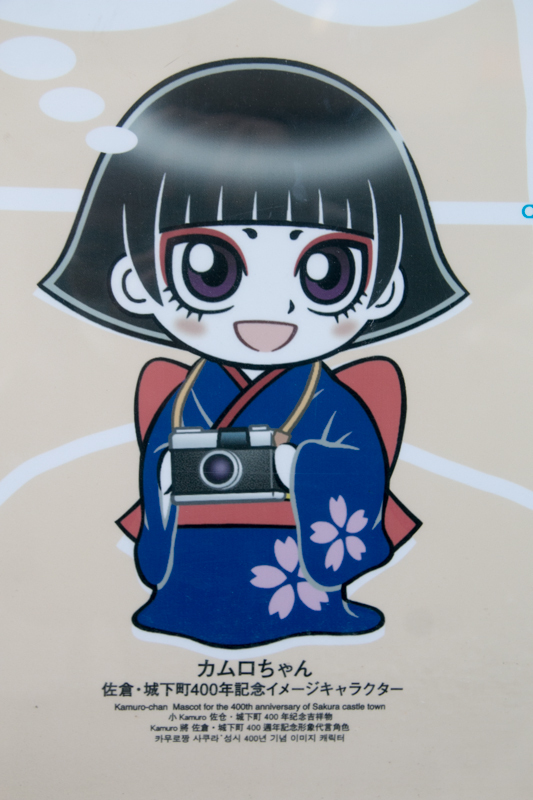 Sakura city is placed at the center of plateau of Shimousa country (North part of Chiba prefecture), and destination of Sakura Kaido way came from Edo city for eastbound. 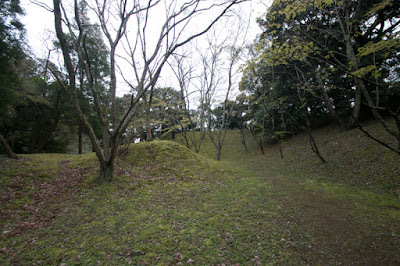 Currently the hill is apart from Lake Inbanuma because of land reclamation, but formerly the hill was a strong point surrounded by lake and rivers. Sakura castle was recognized as an important castle to protect Edo city by Edo shogunate, along with Odawara castle, Kofu castle, Kawagoe castle or Utsunomiya castle. 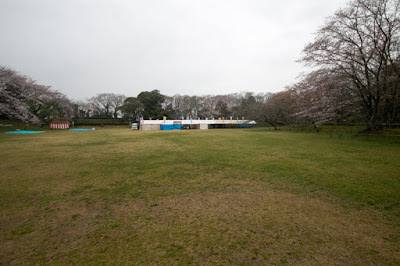 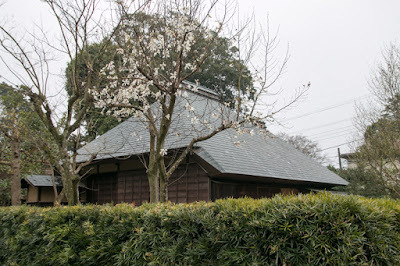 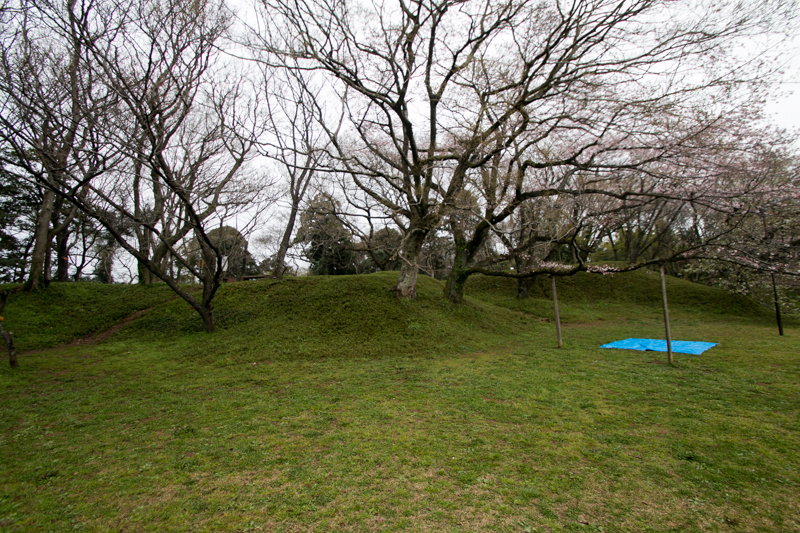 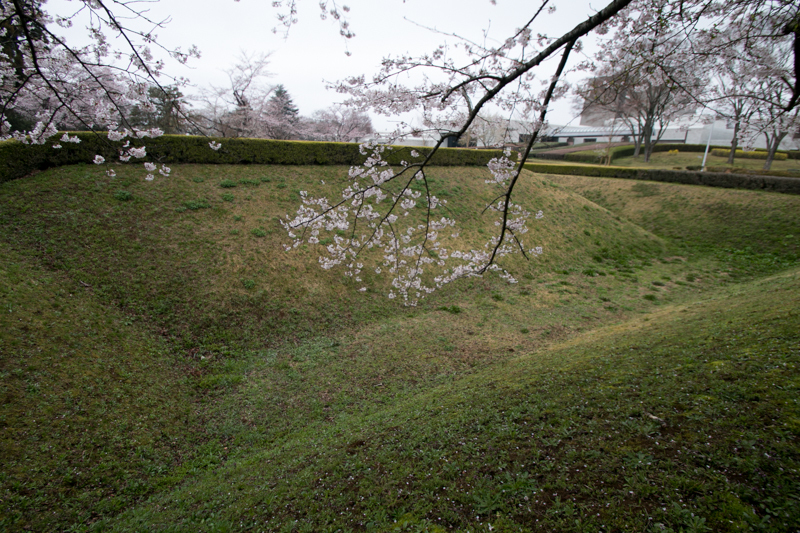 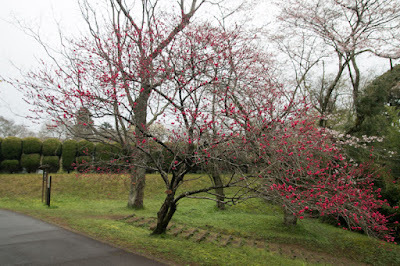 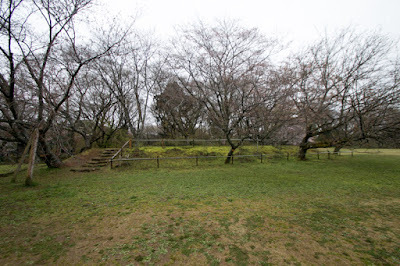 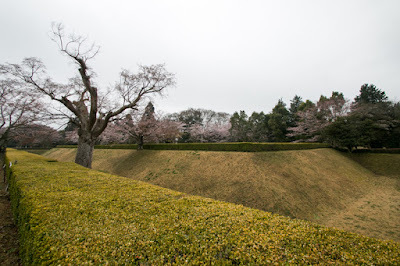 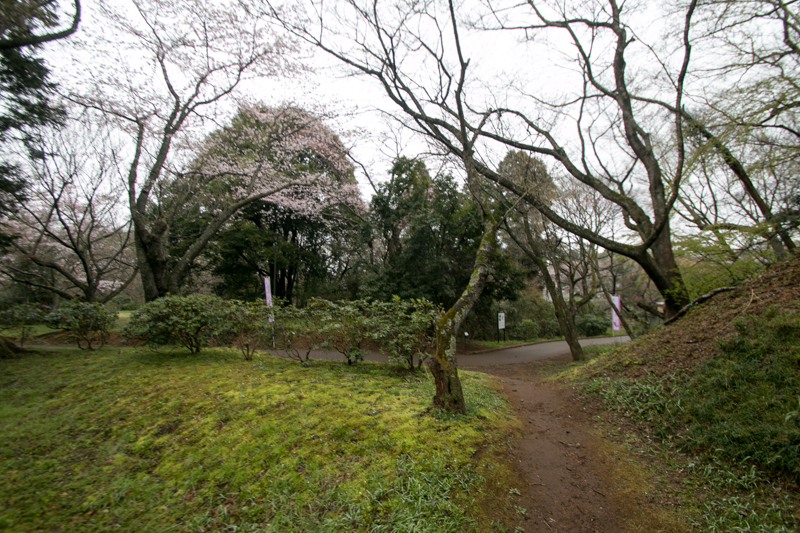 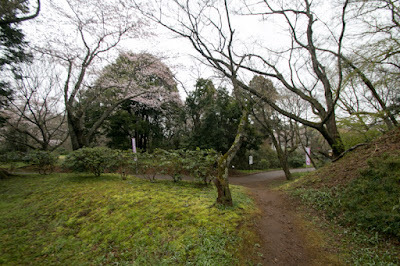 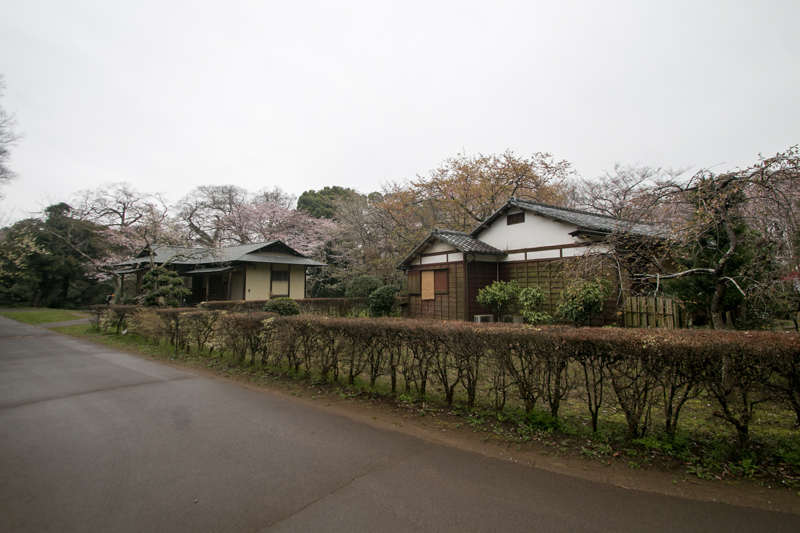 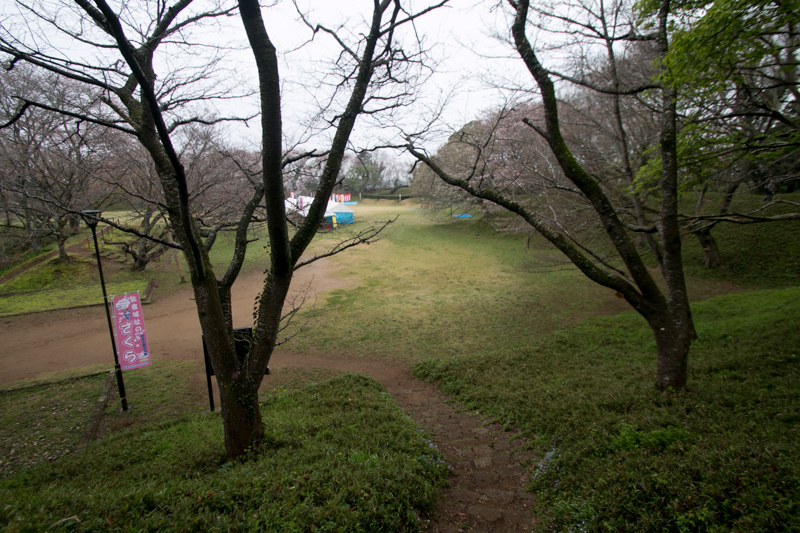 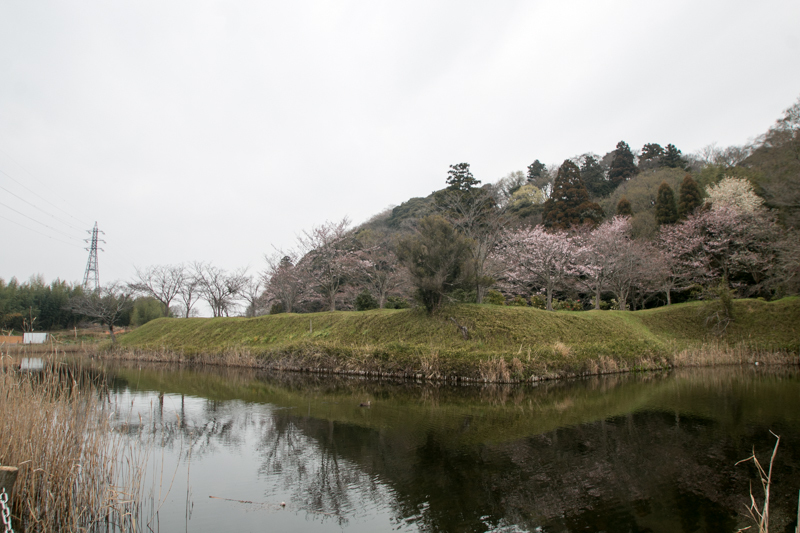 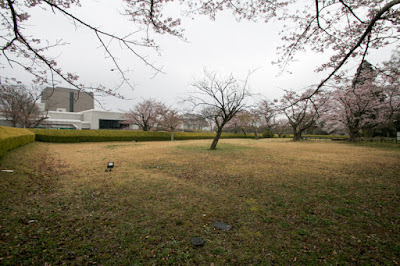 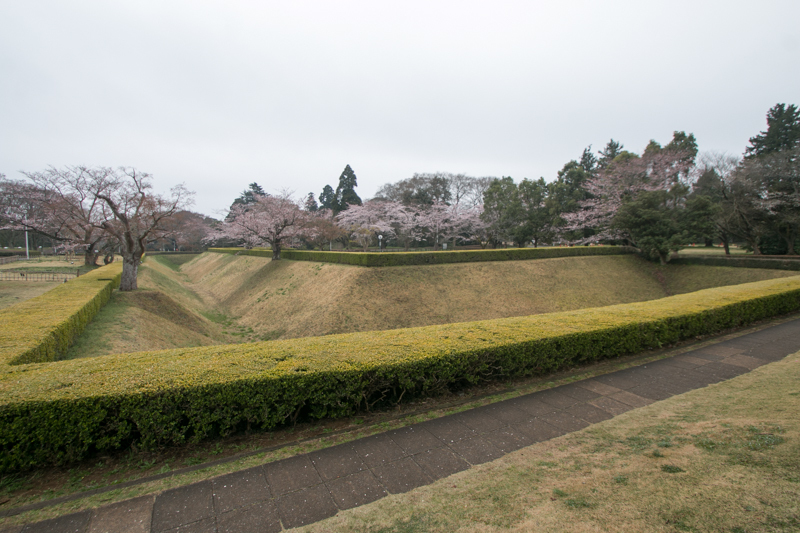 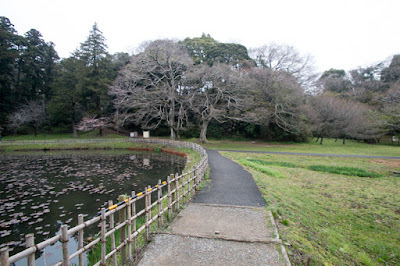 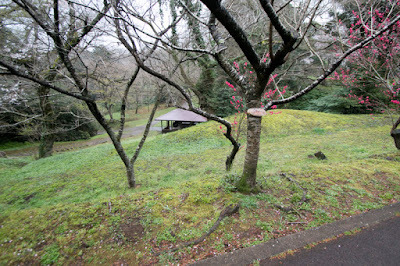 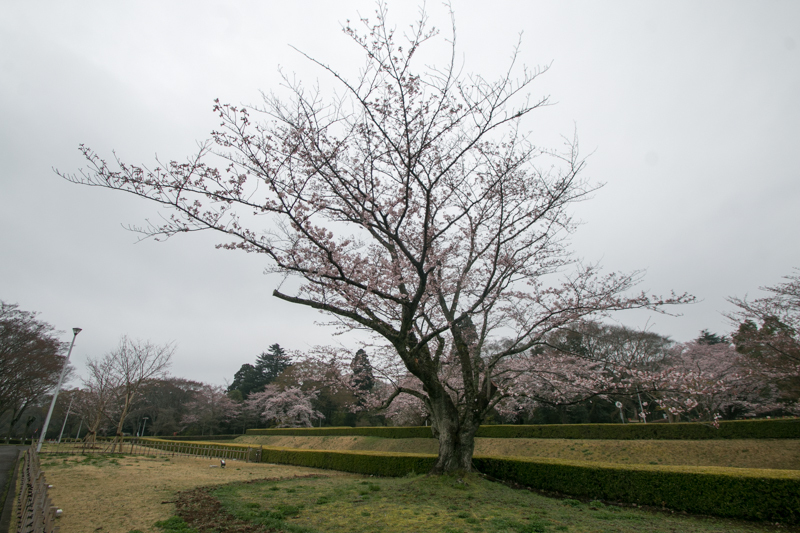 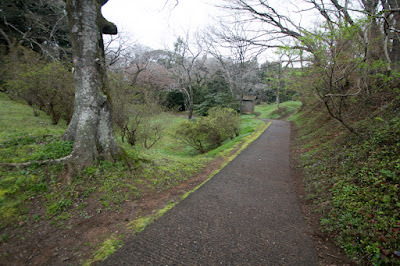 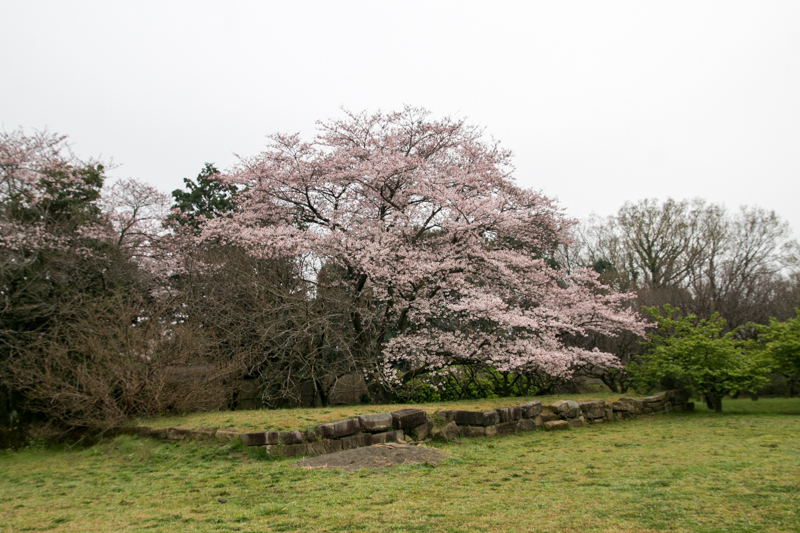 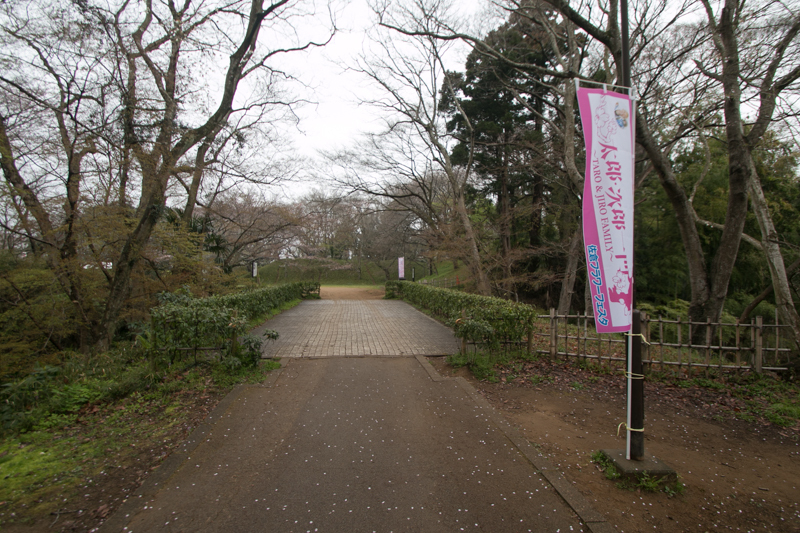 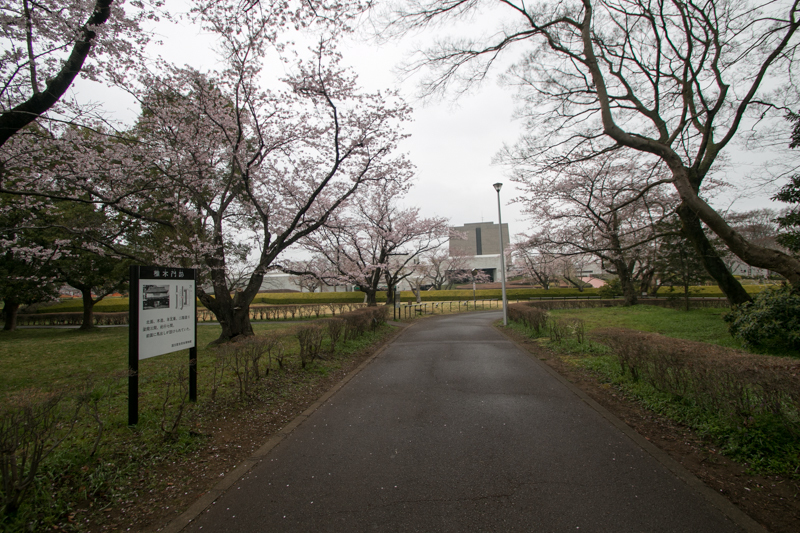 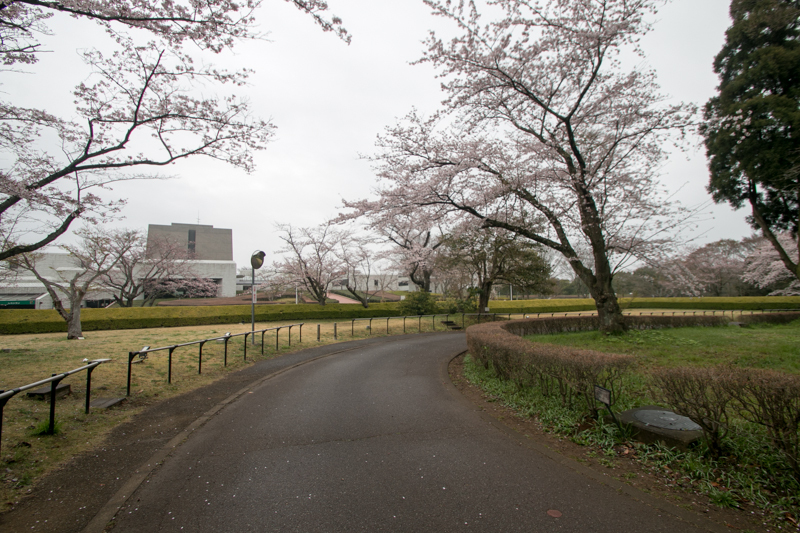 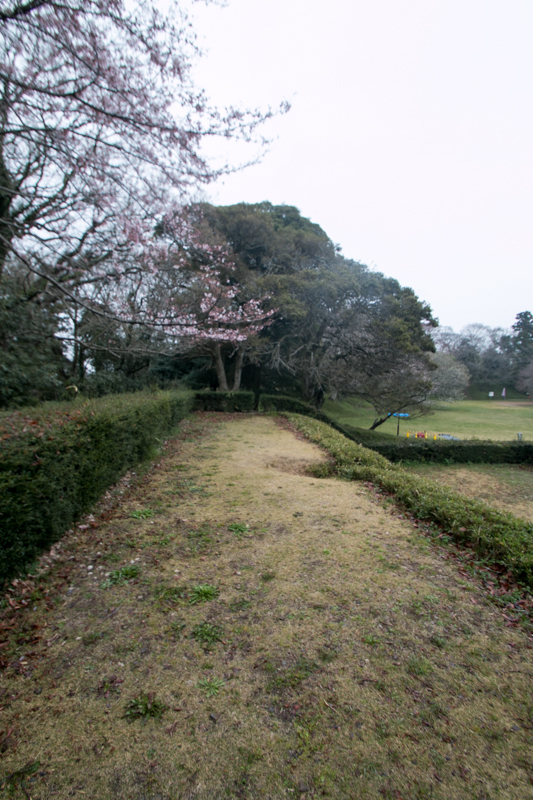 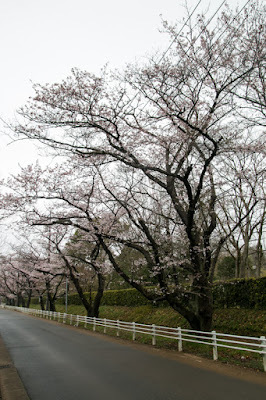 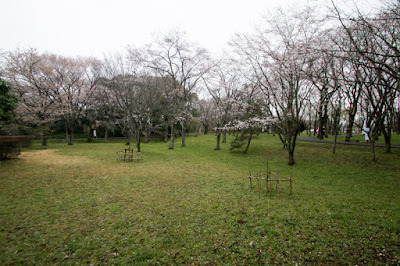 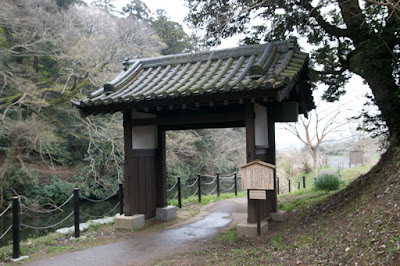 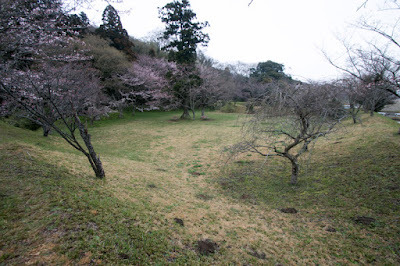 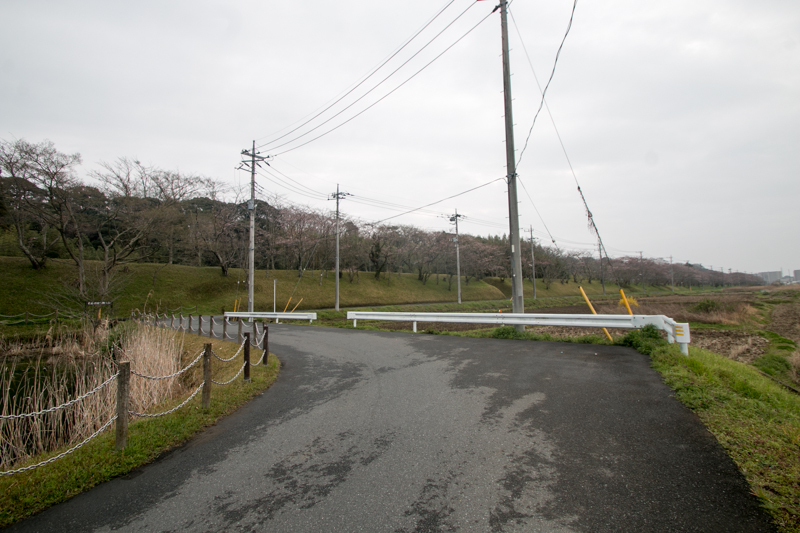 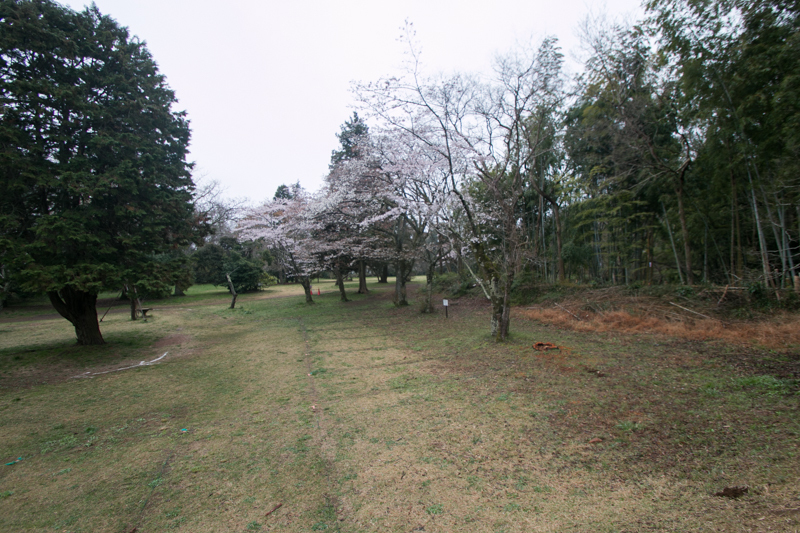 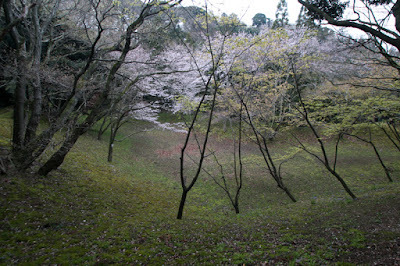 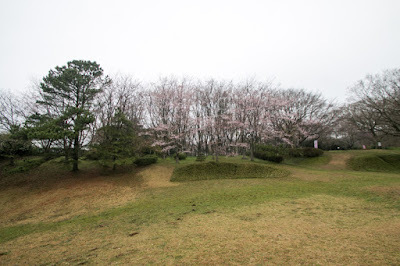 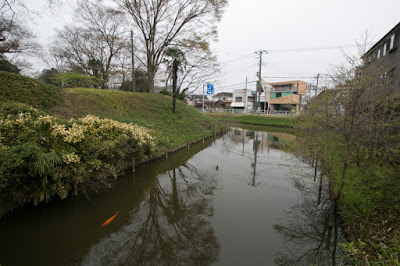 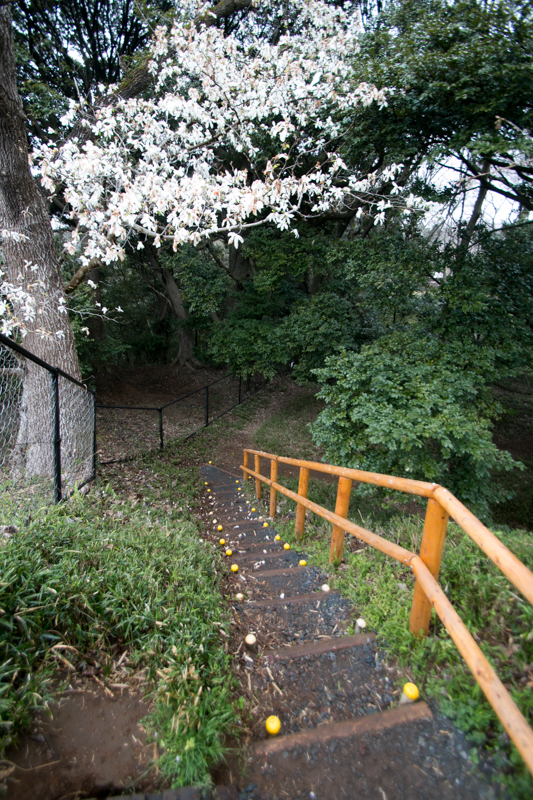 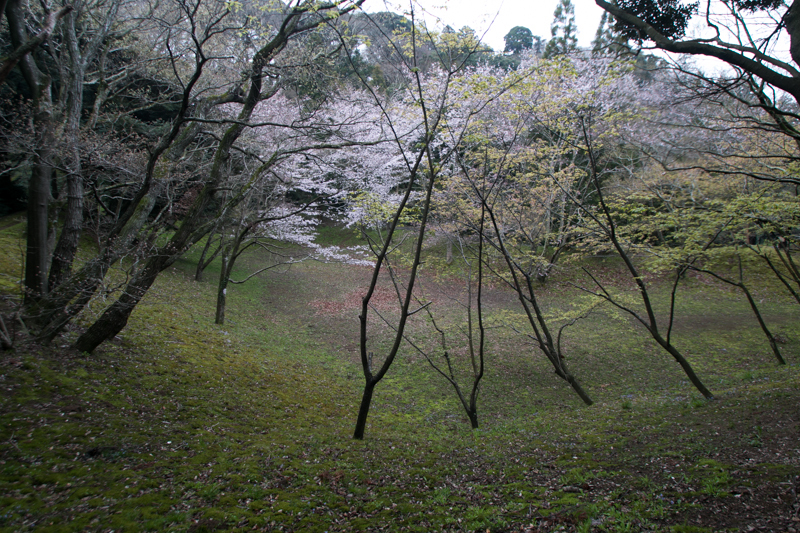 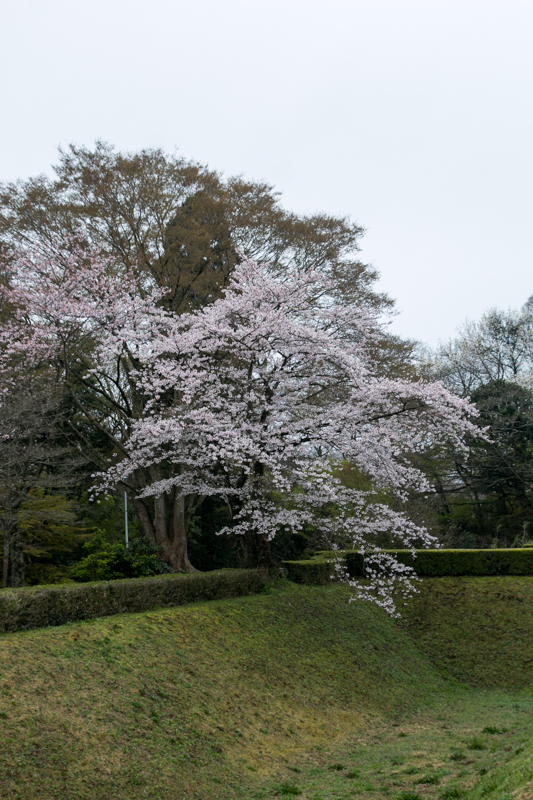 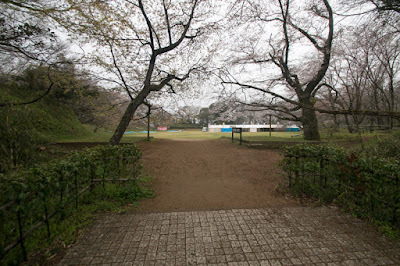 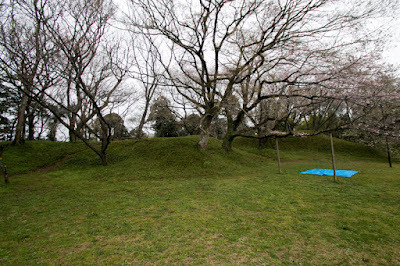 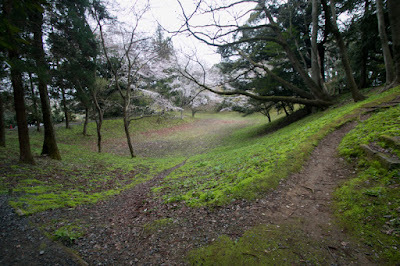 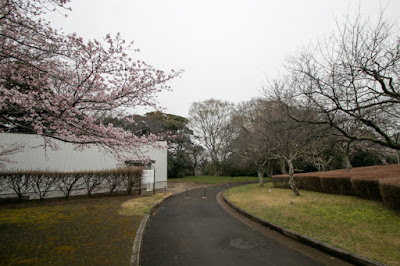 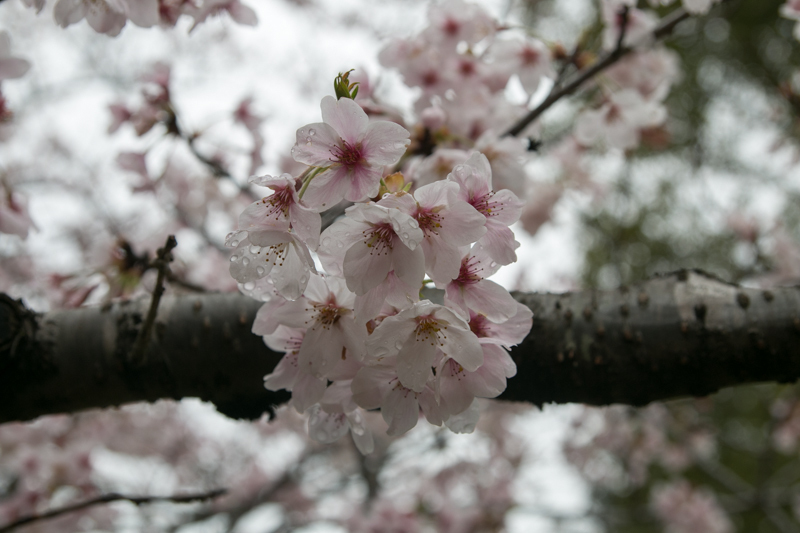 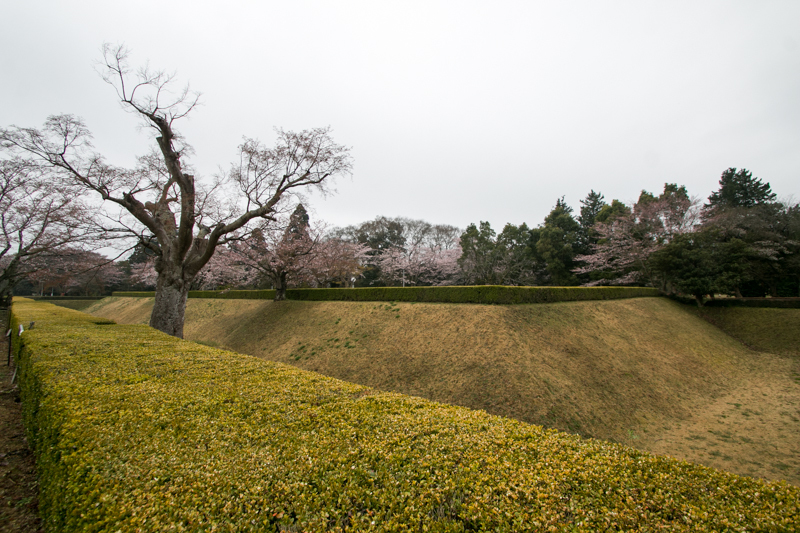 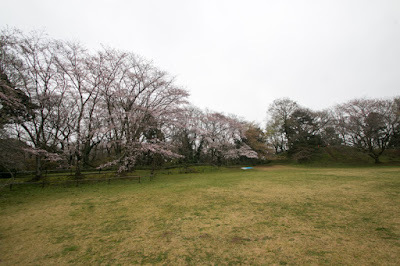 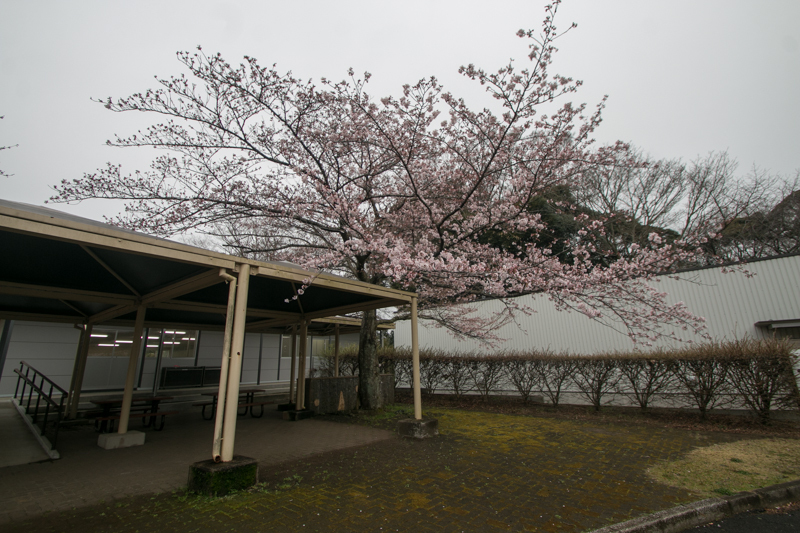 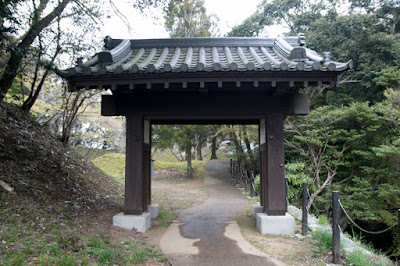 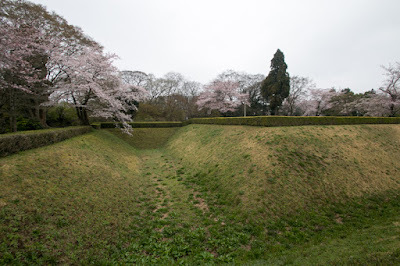 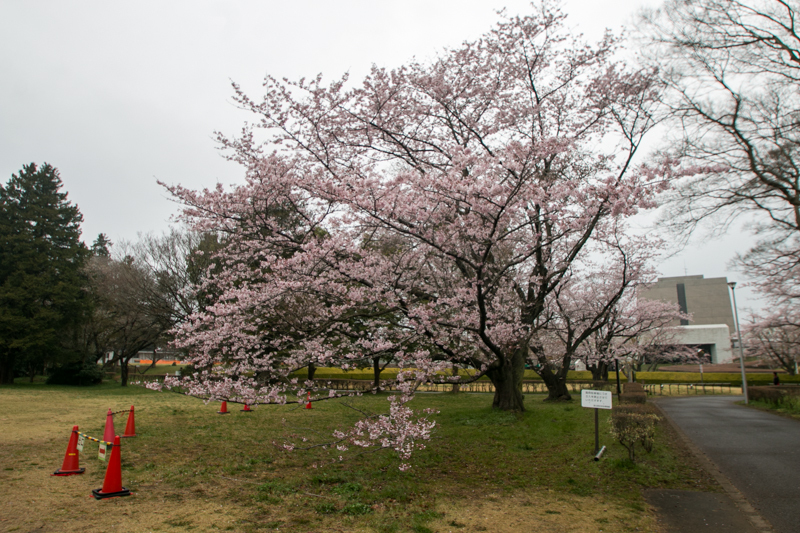 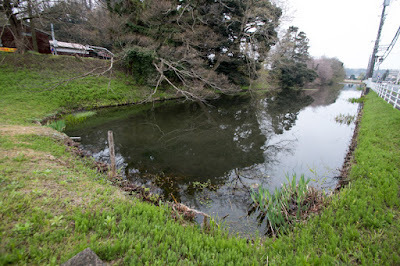 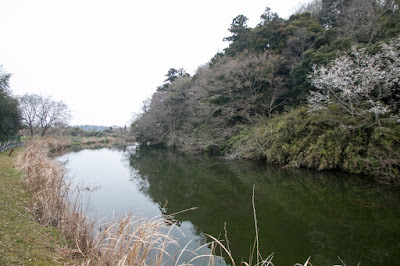 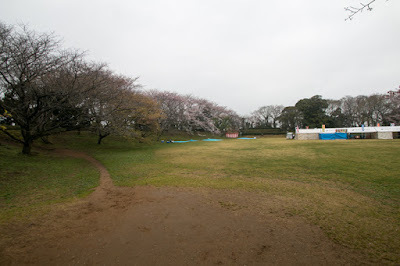 Sakura region historically had been goverend by Chiba clan at Motosakura castle. 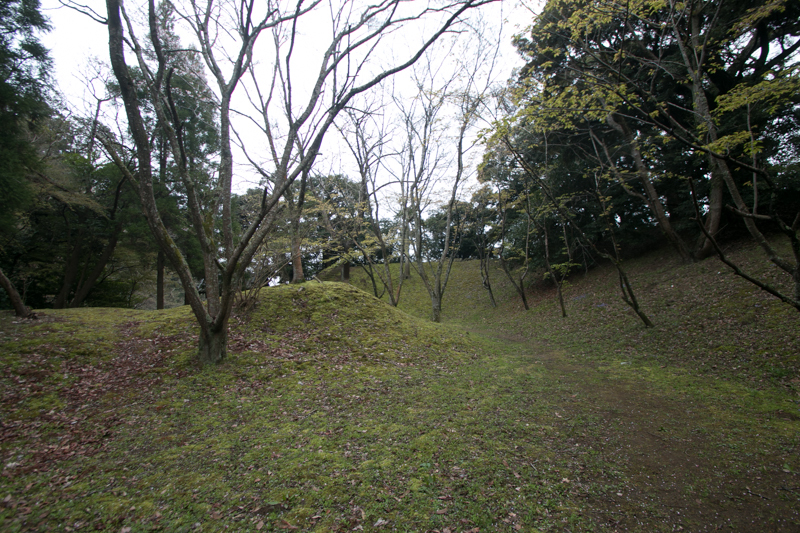 Chiba clan was a traditional clan stem from Tsunenaga Taira (1024-1108), and became the governer of Shimousa country in medieval era. 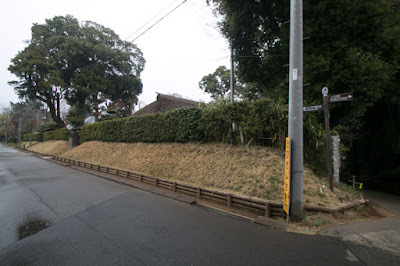 But due to internal conflict or feud against major retainer, the power of the clan significantly decreased in 15th cemtury and kept their house under the support of Hojyo clan, a warlord of Sagami country (Kanagawa prefecture). 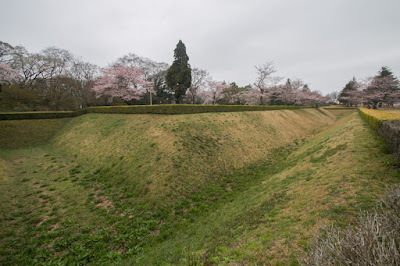 But Hojyo clan was extinguished by Odawara campaign of Hideyoshi Toyotomi (1534-1598), ruler at that time, and Chiba clan had gone down with Hojyo clan. 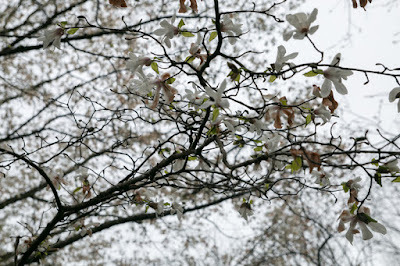 When Ieyasu Tokugawa (1543-1616) established Edo Shogunate at Edo city in 1603, Ieyasu considered Sakura city as an important point of defense to eastbound, and placed his hereditary retainers at Sakura. 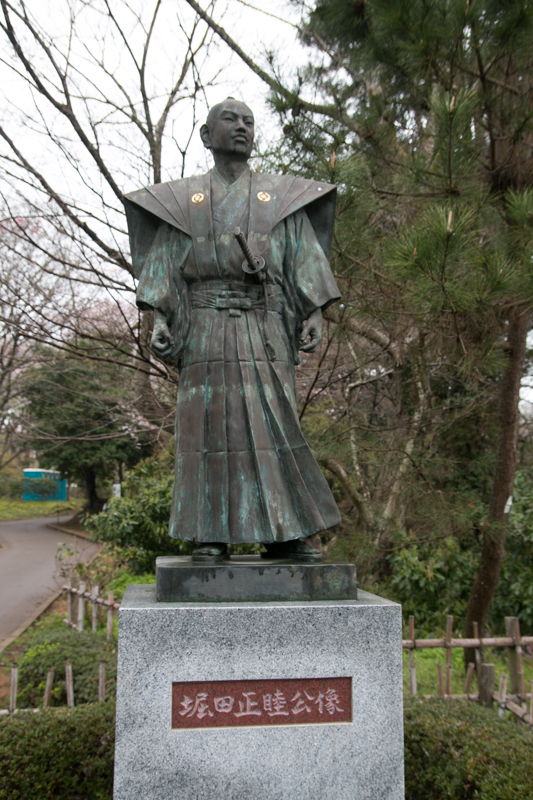 In 1610, Toshikatsu Doi (1573-1644), confidant of second Shogun Hidetada Tokugawa (1579-1632), was appointed as a governor of this region. 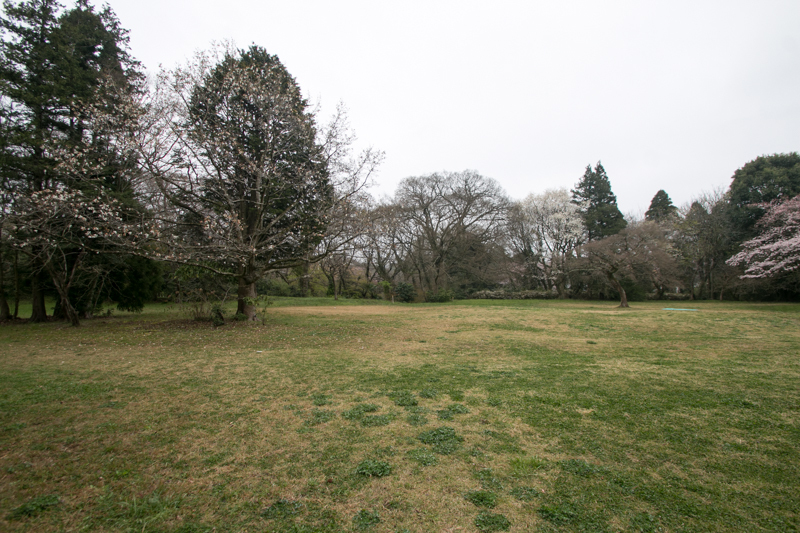 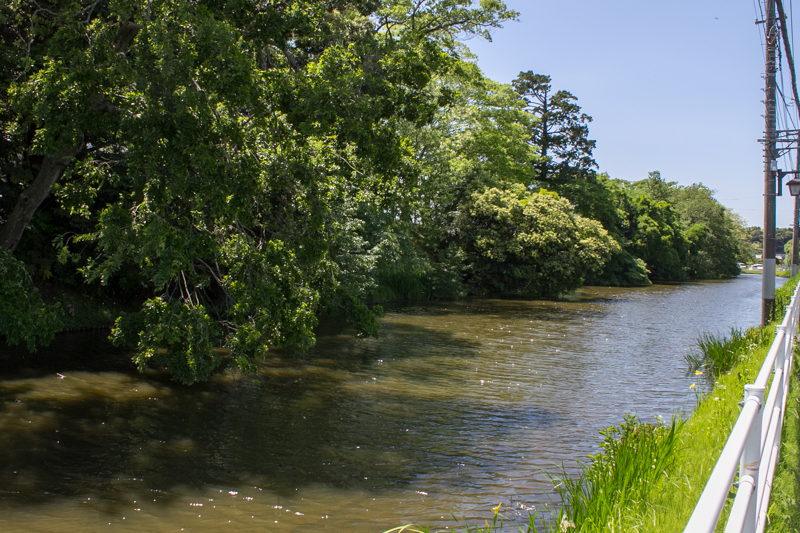 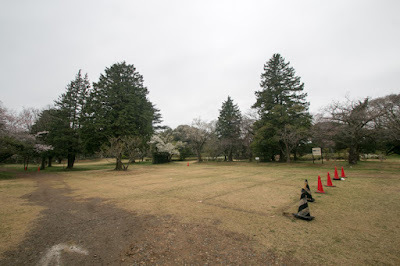 Originally at the site of current castle Chiba clan started to build their castle named Kashima castle, but due to various reasons the construction was suspended. 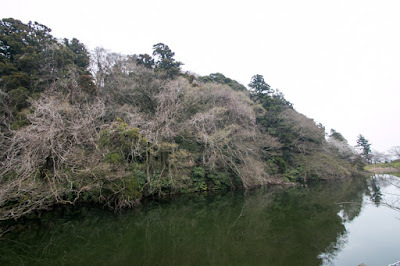 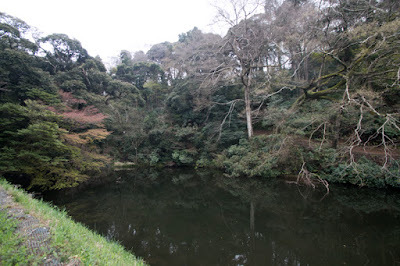 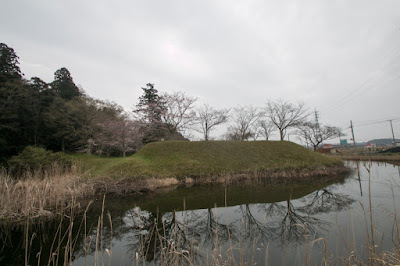 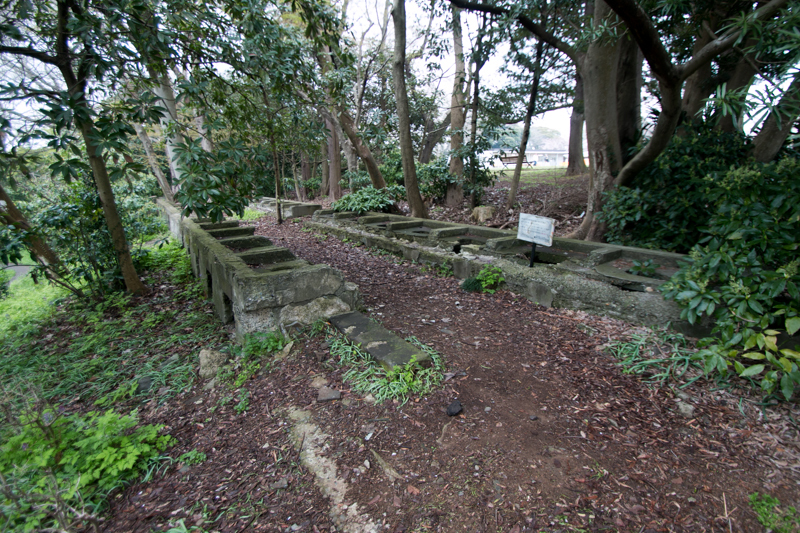 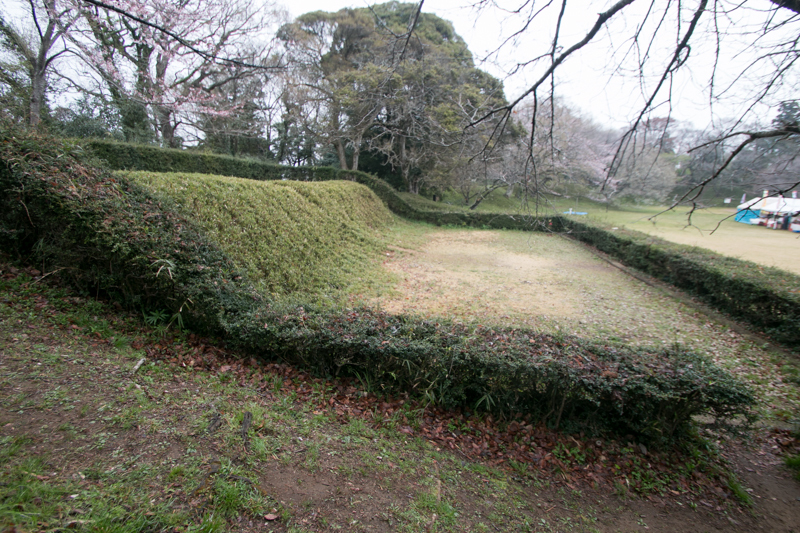 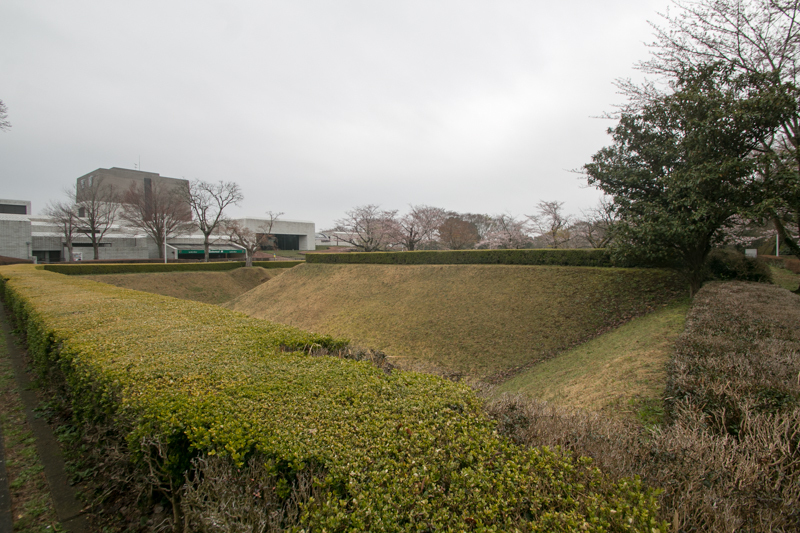 Ieyasu ordered to build a new castle using ruins of Kashima castle, and completed in 1615. 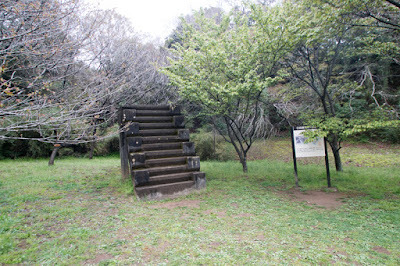 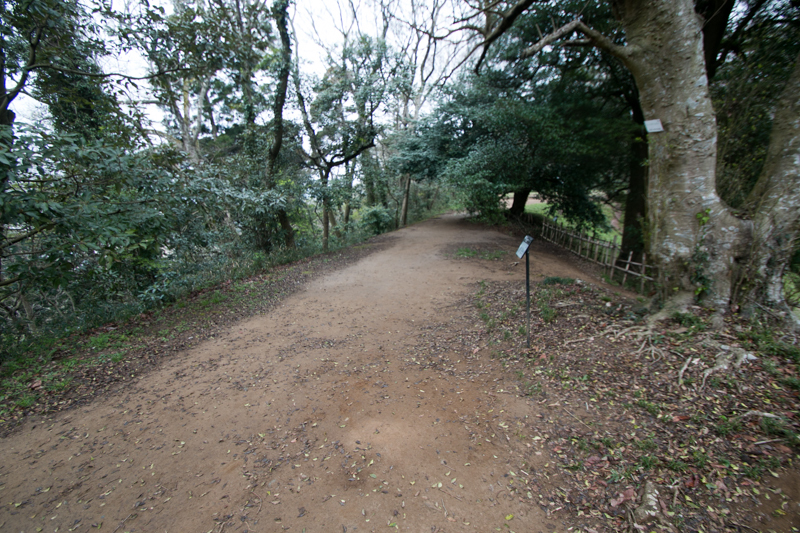 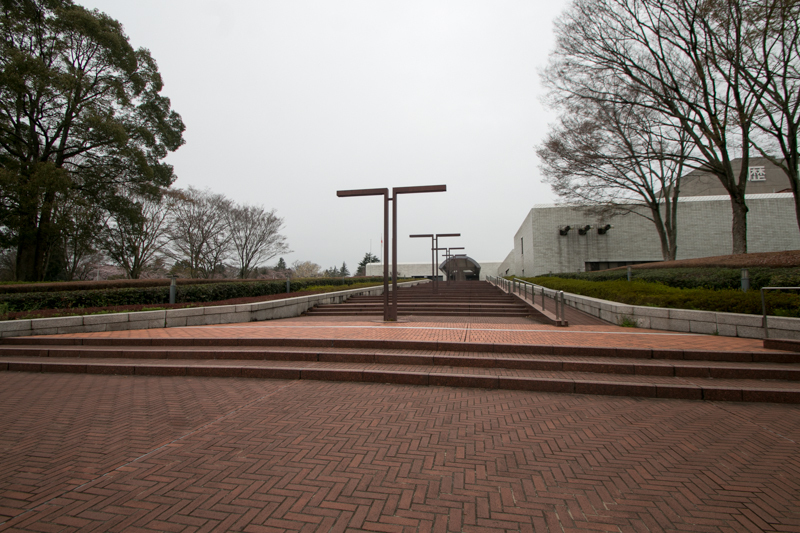 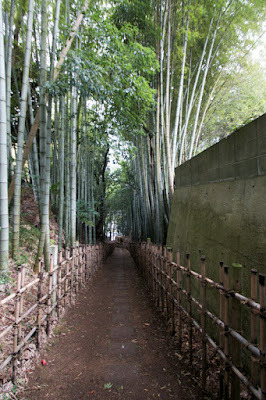 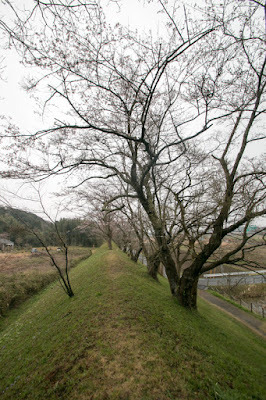 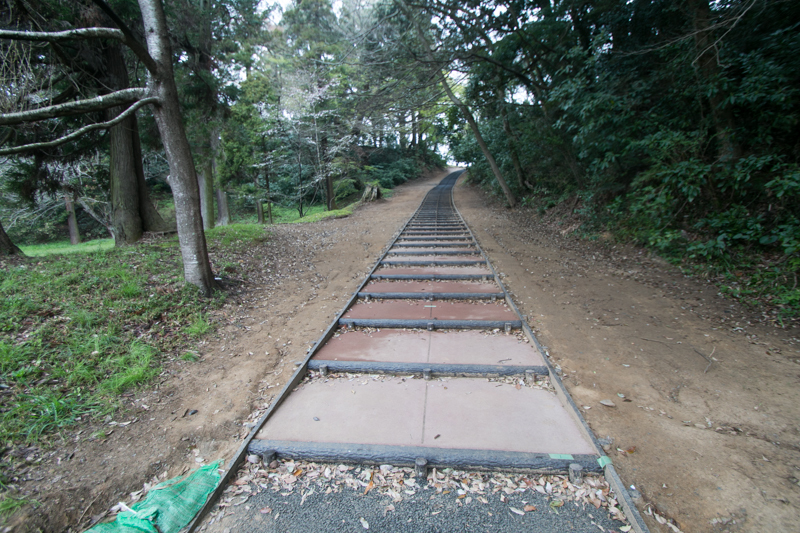 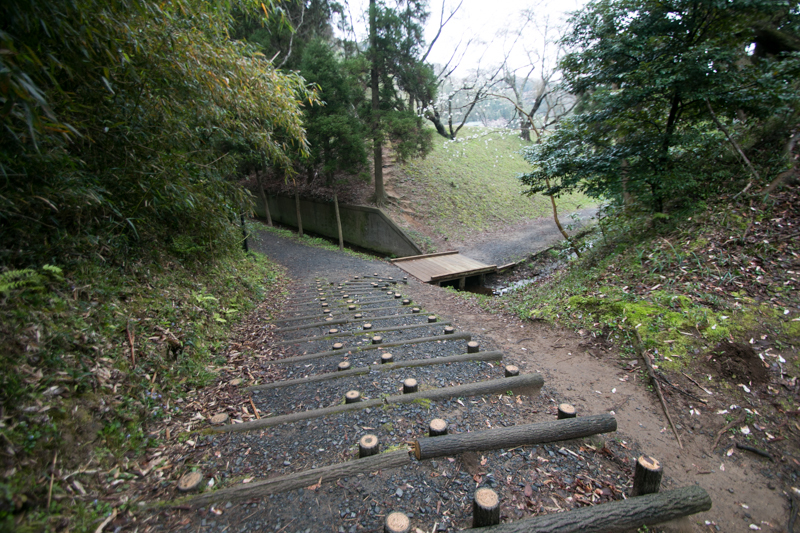 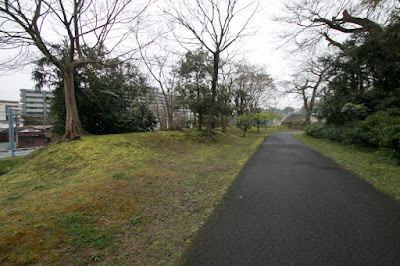 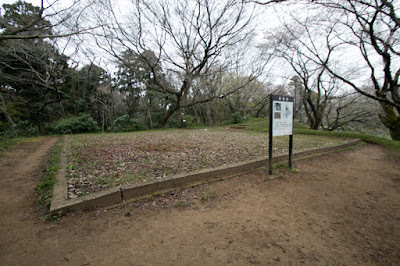 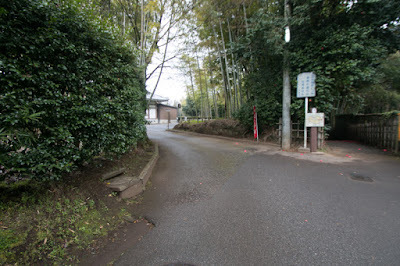 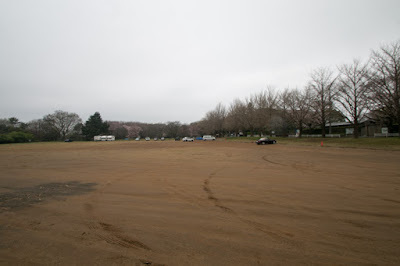 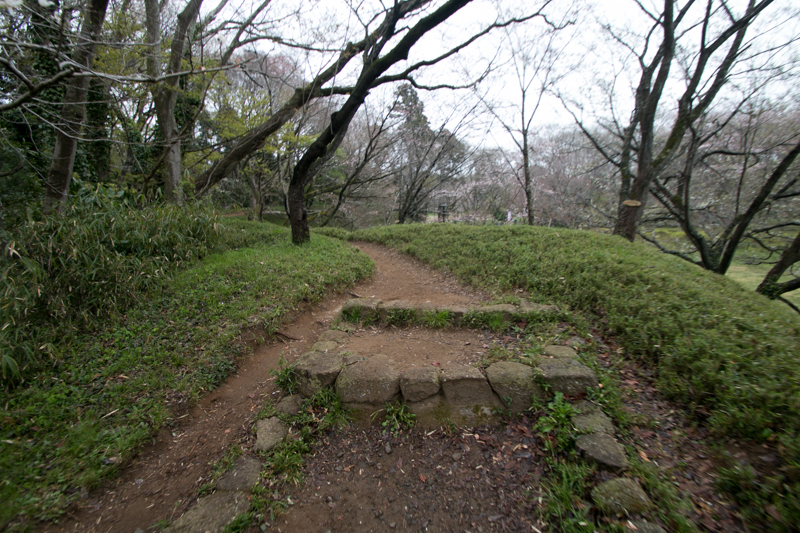 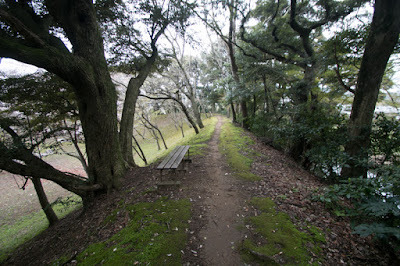 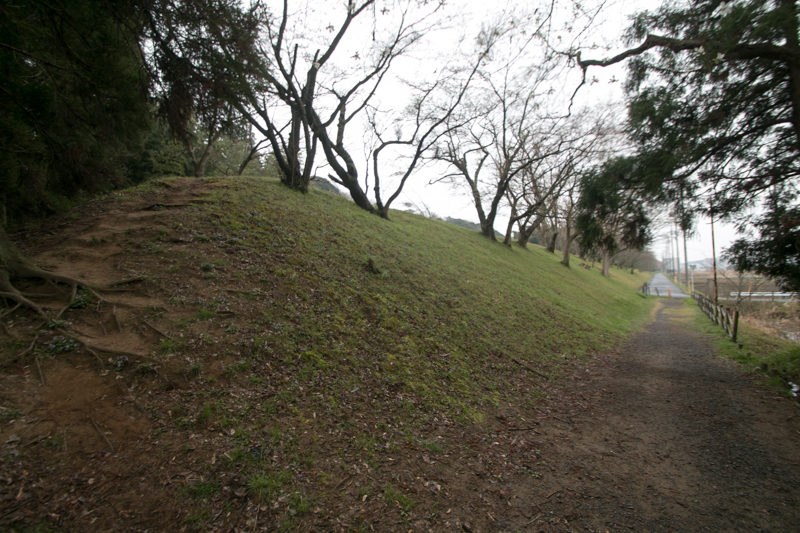 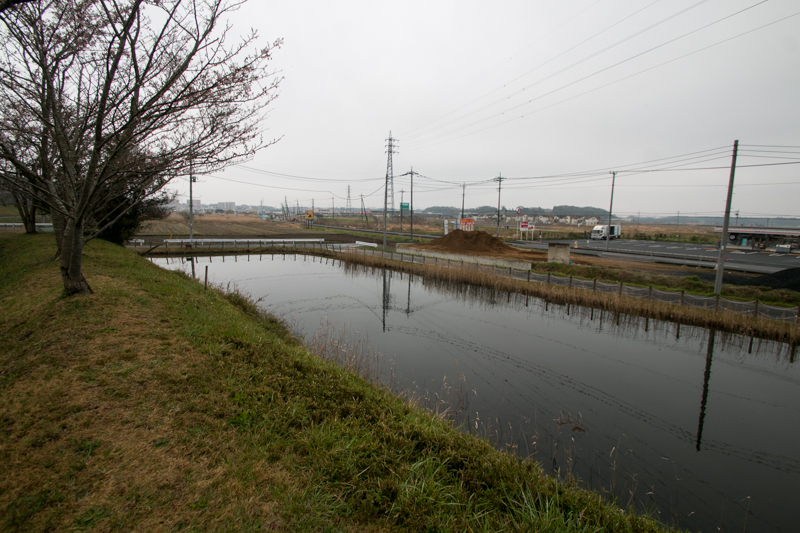 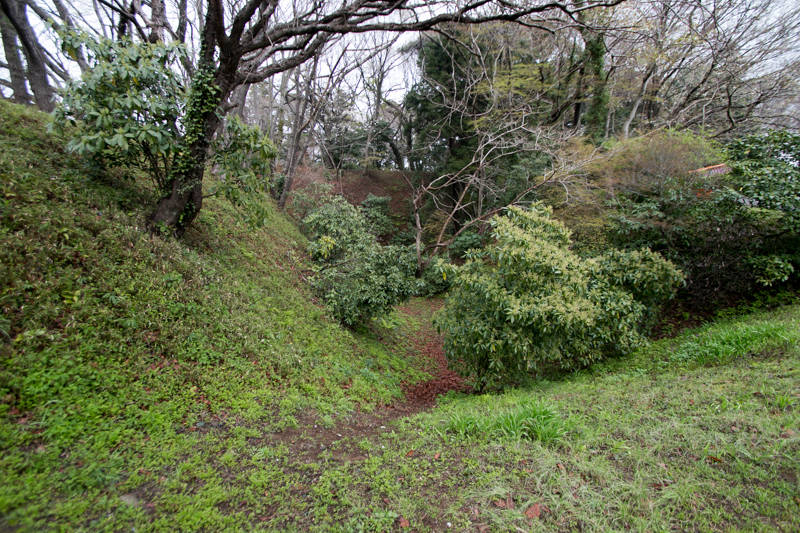 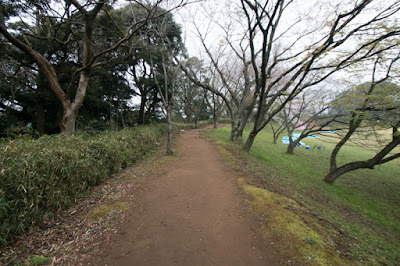 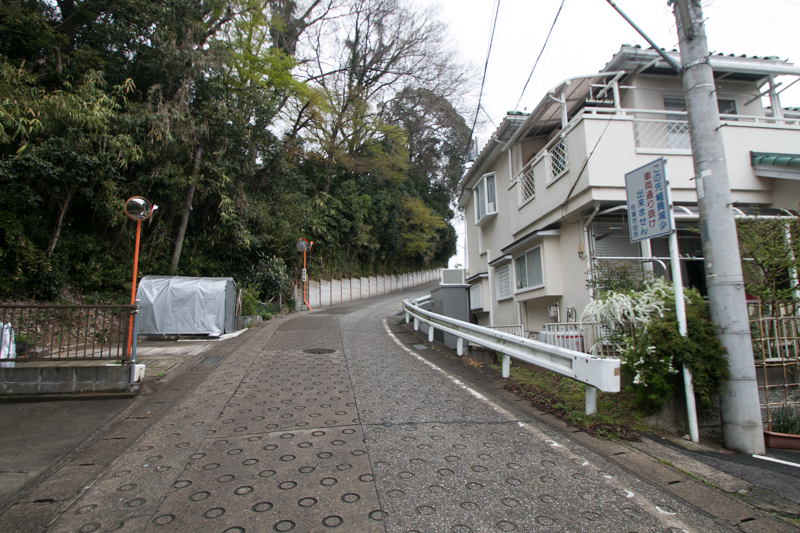 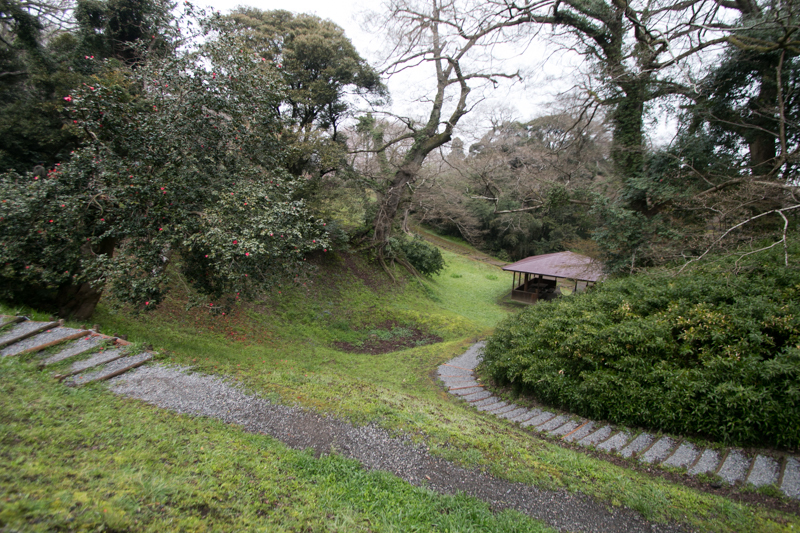 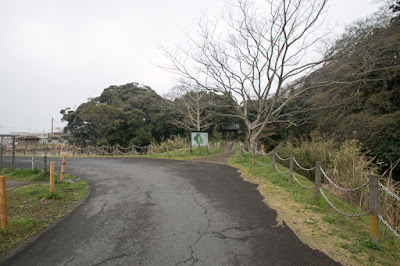 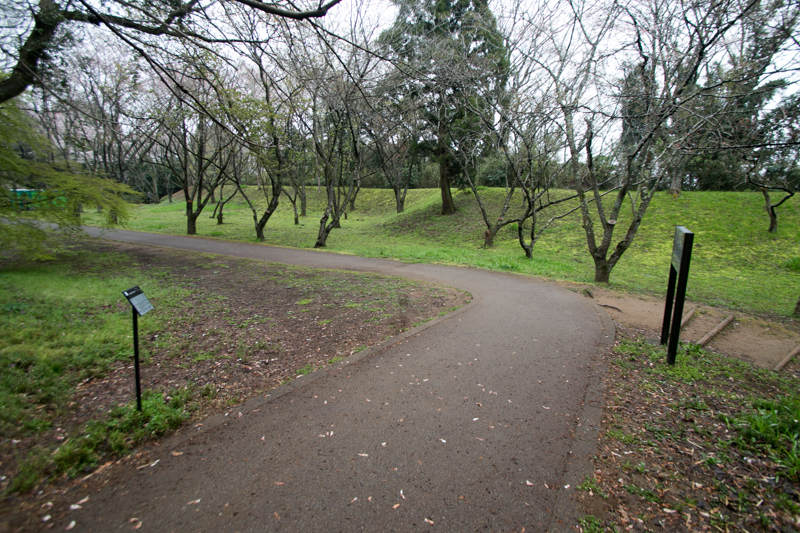 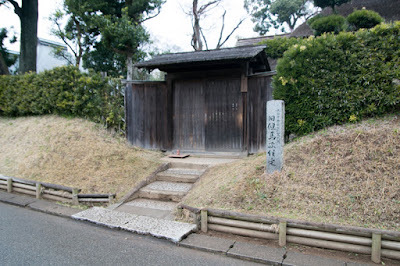 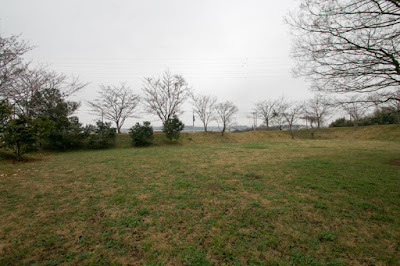 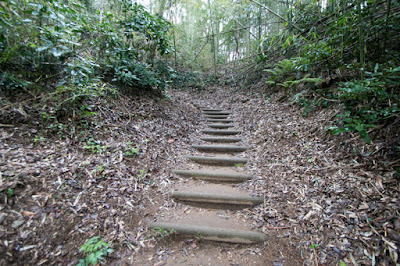 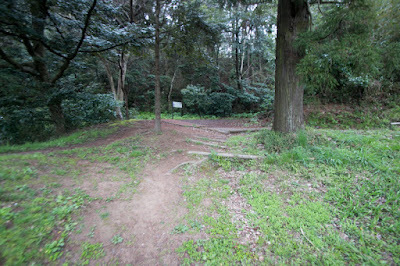 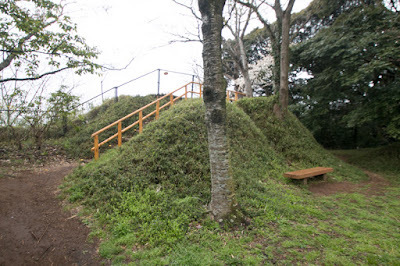 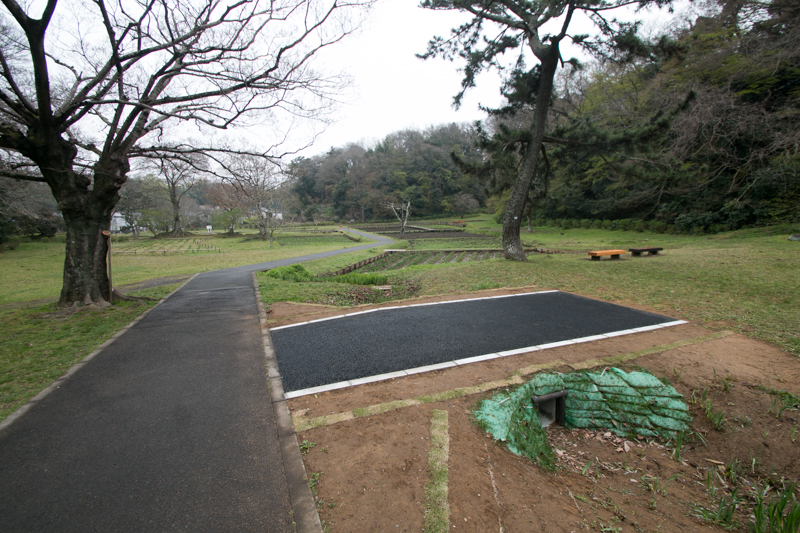 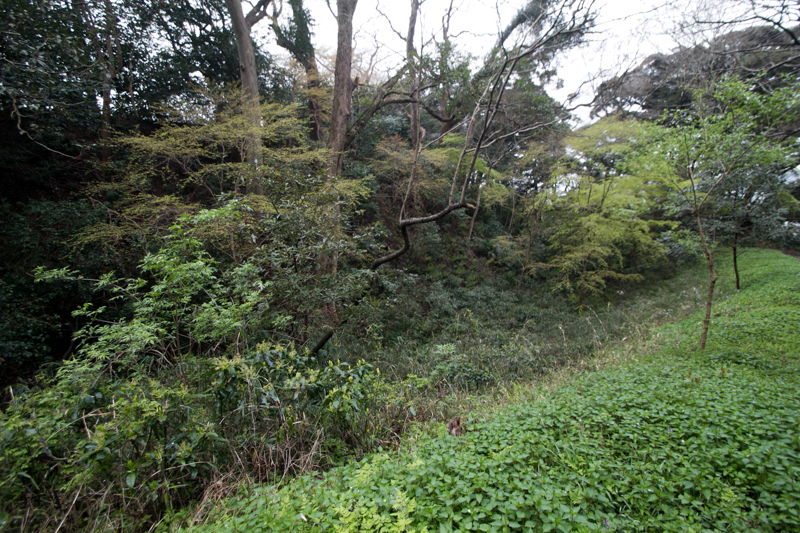 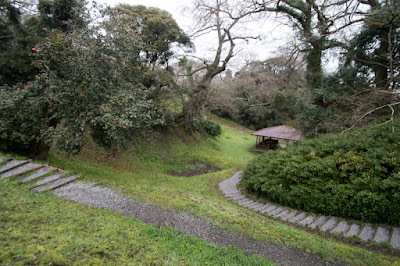 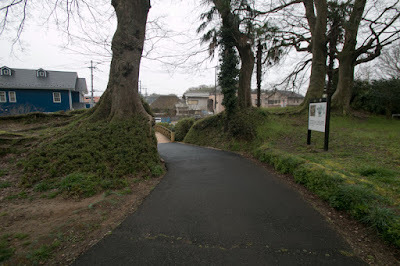 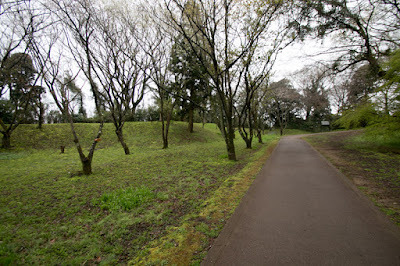 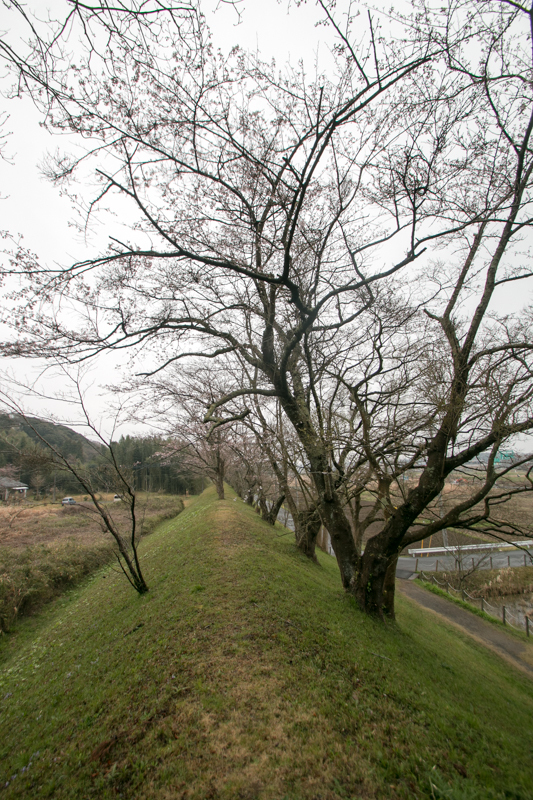 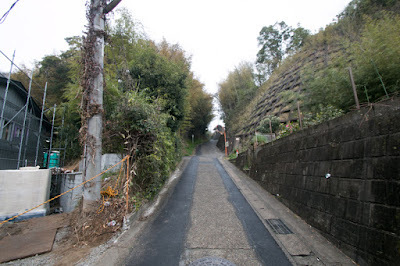 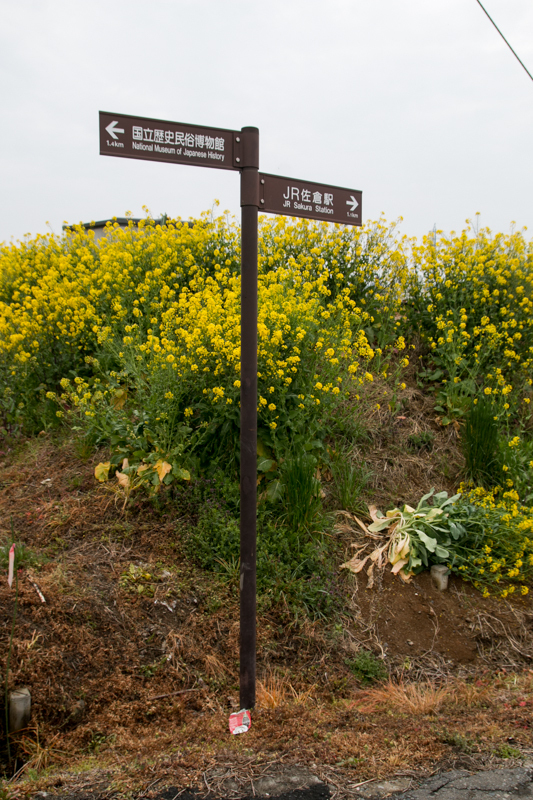 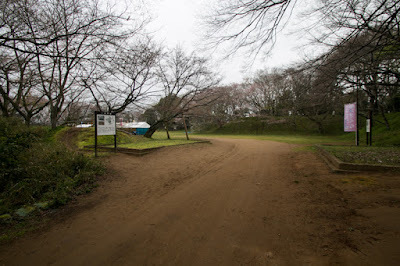 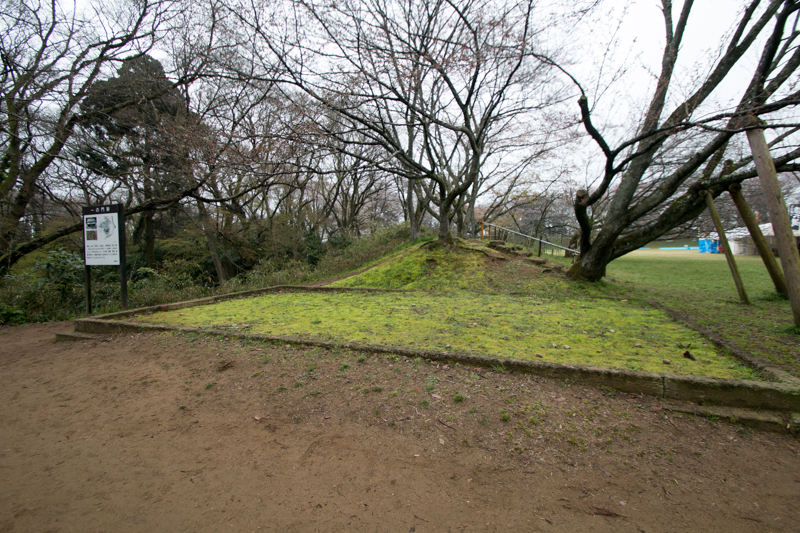 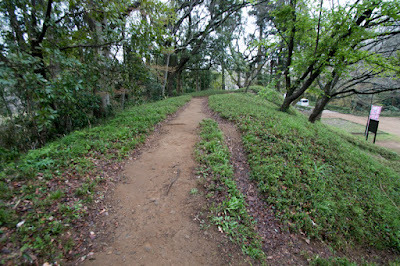 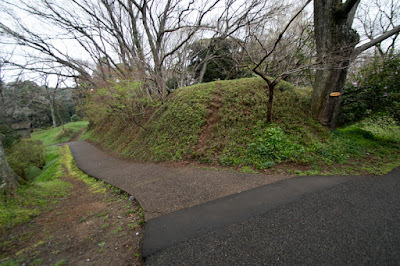 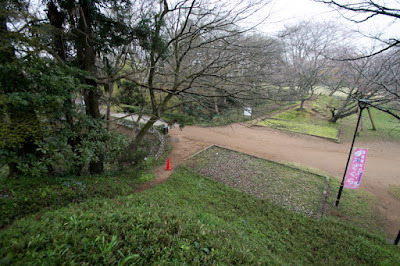 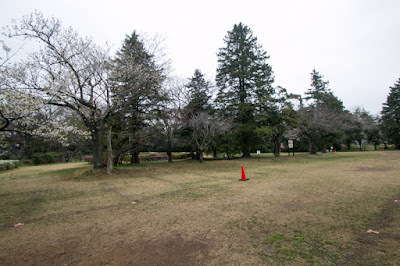 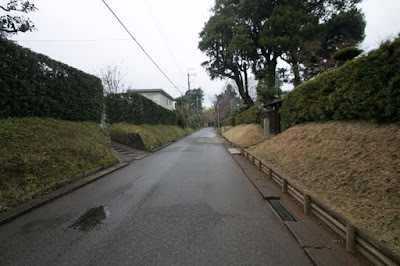 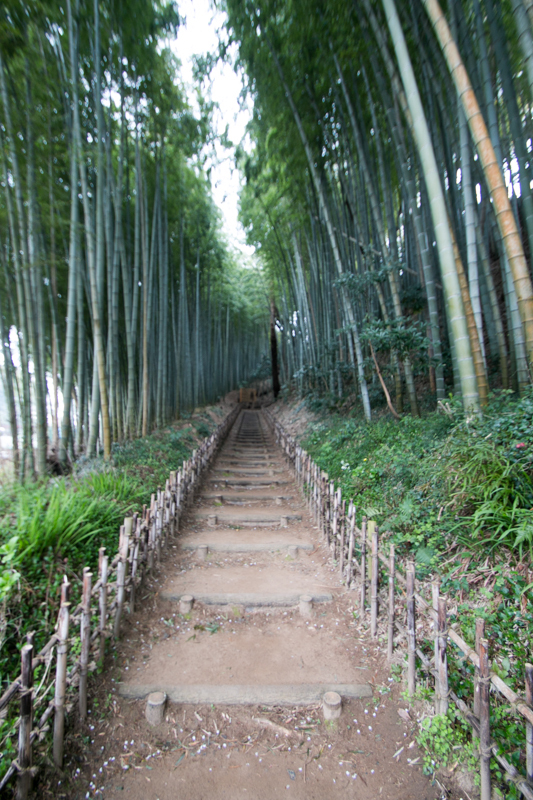 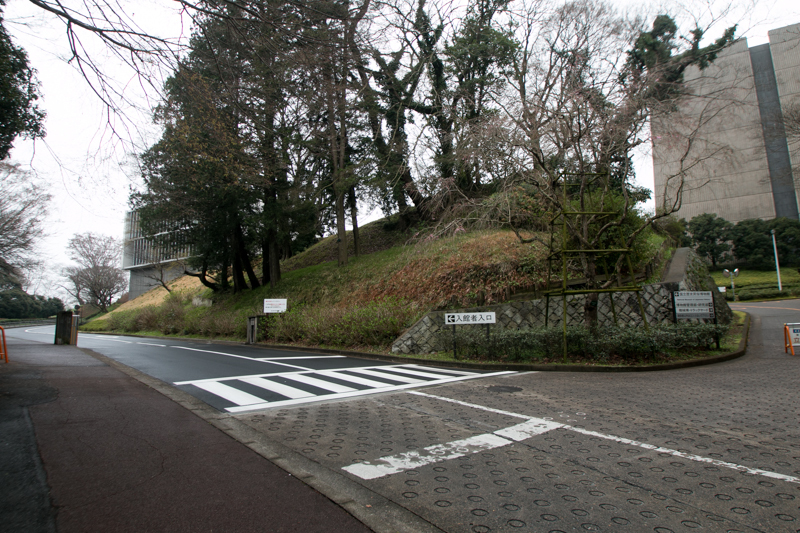 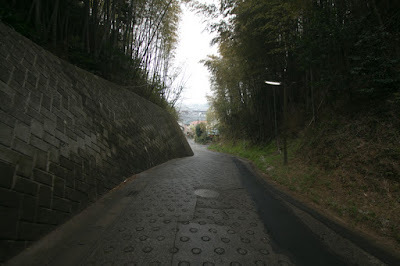 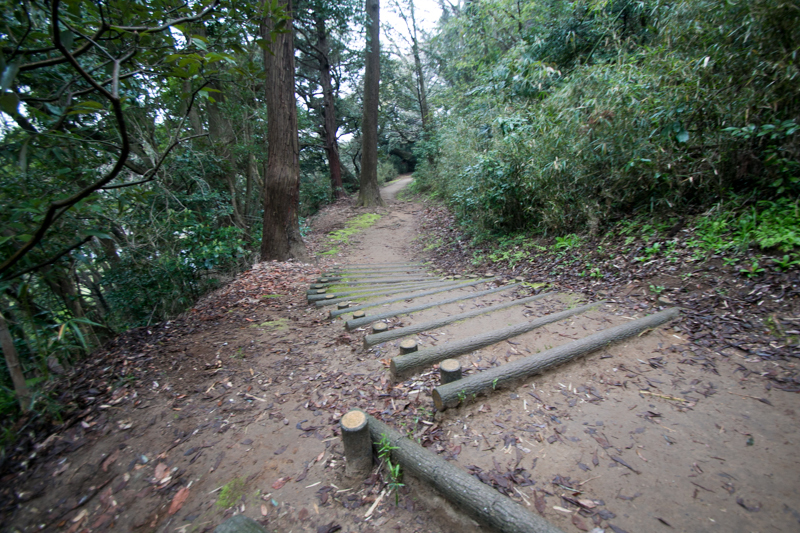 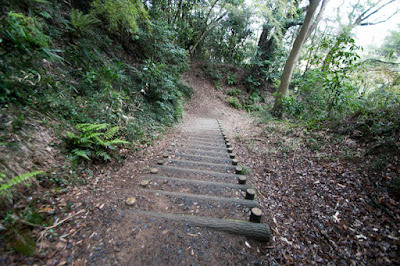 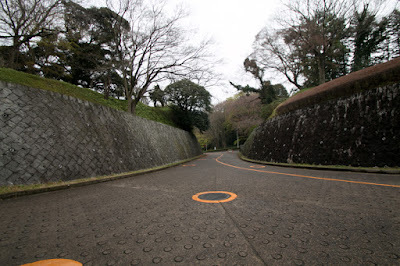 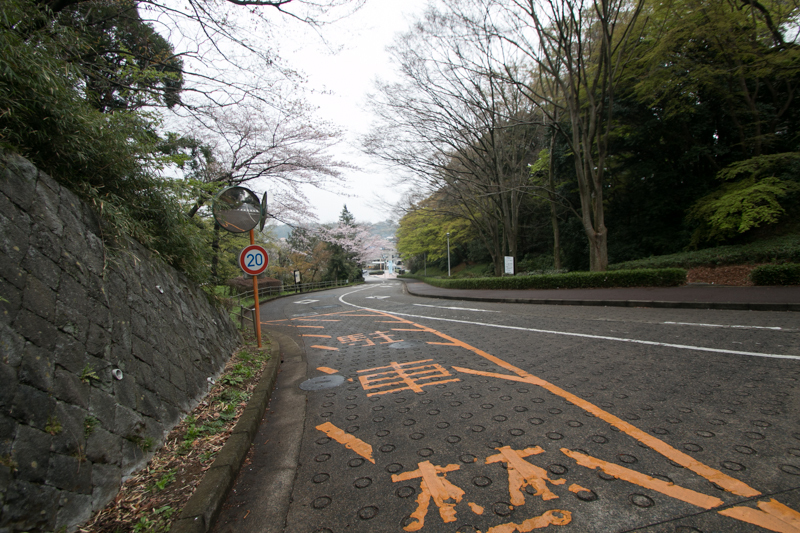 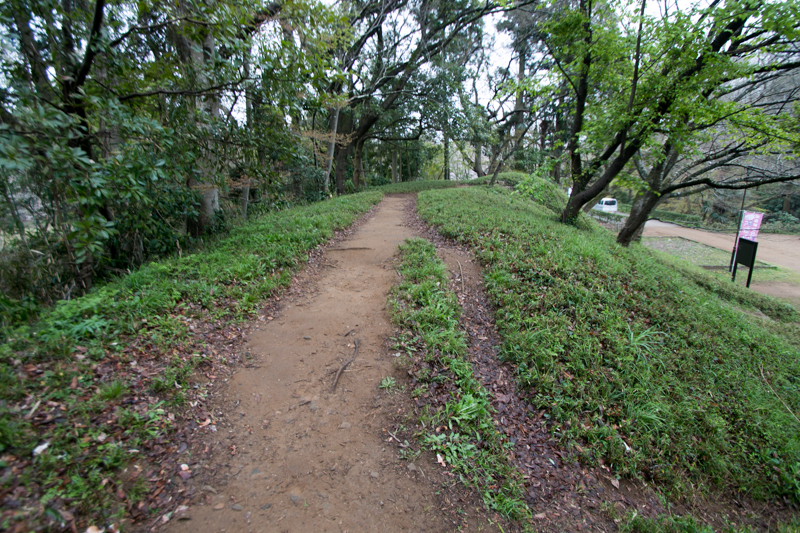 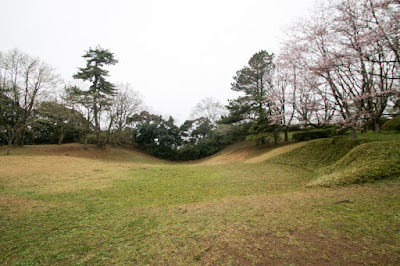 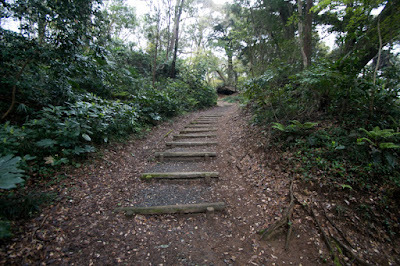 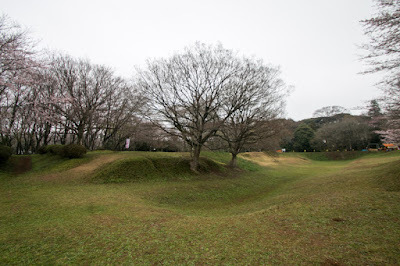 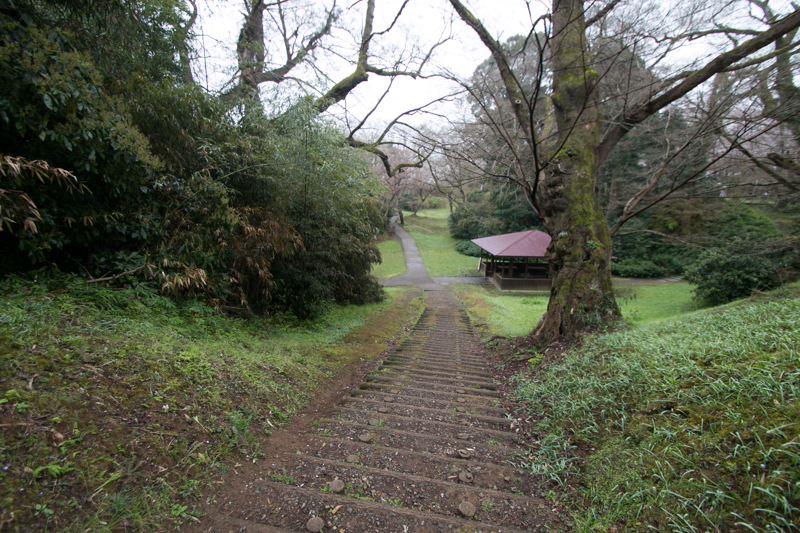 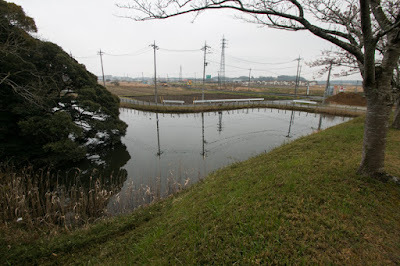 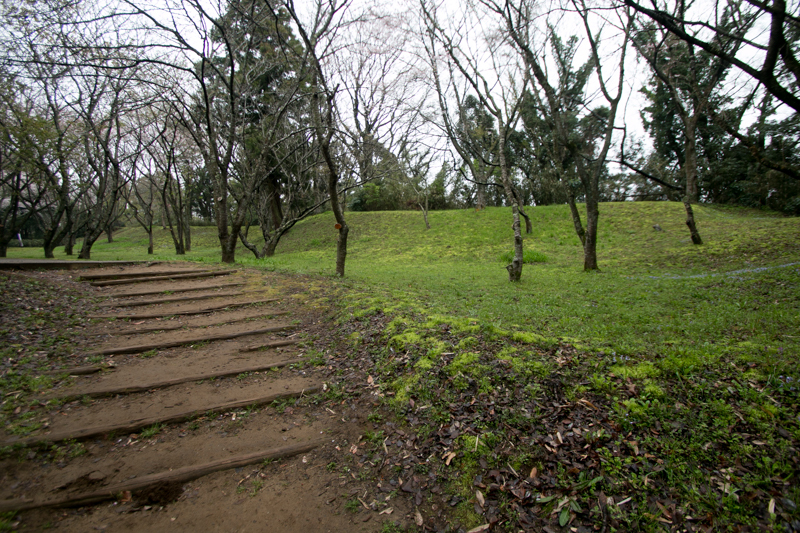 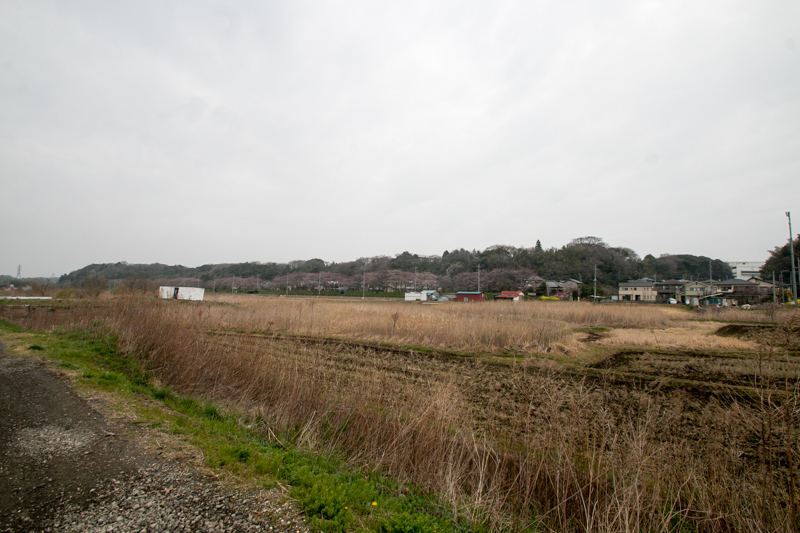 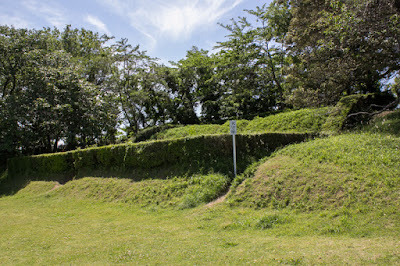 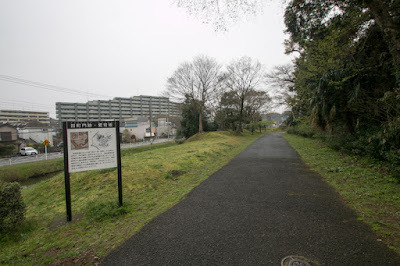 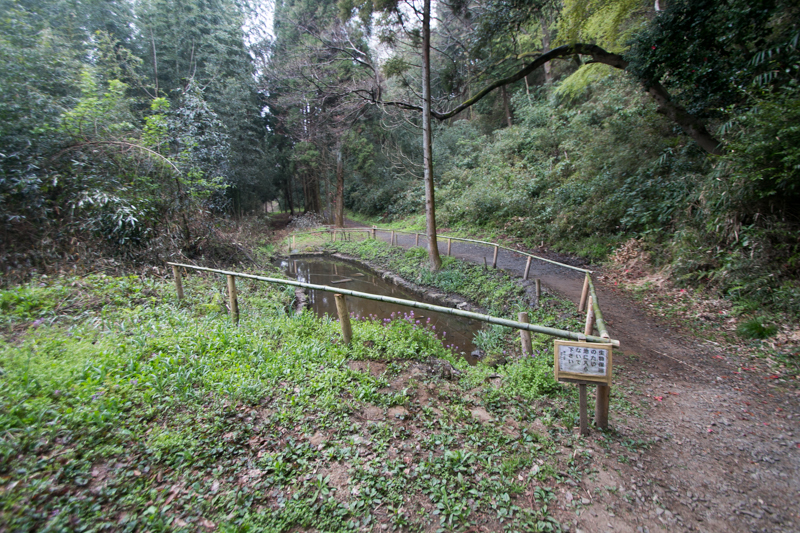 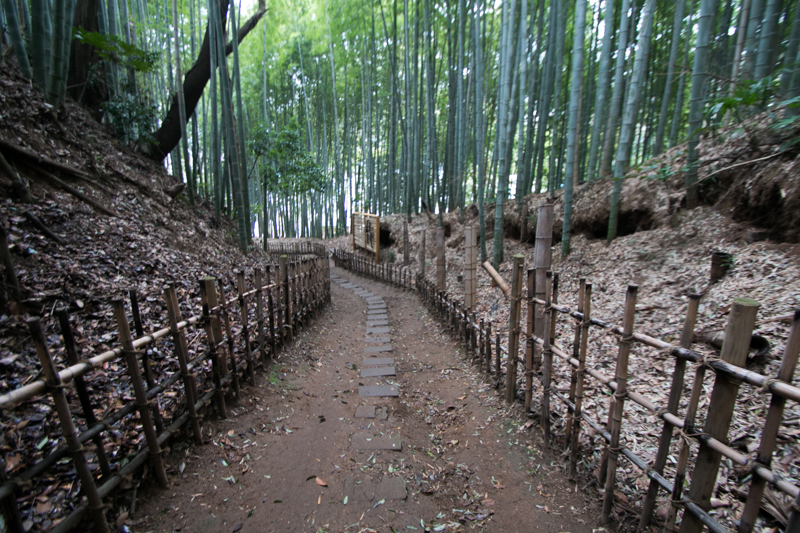 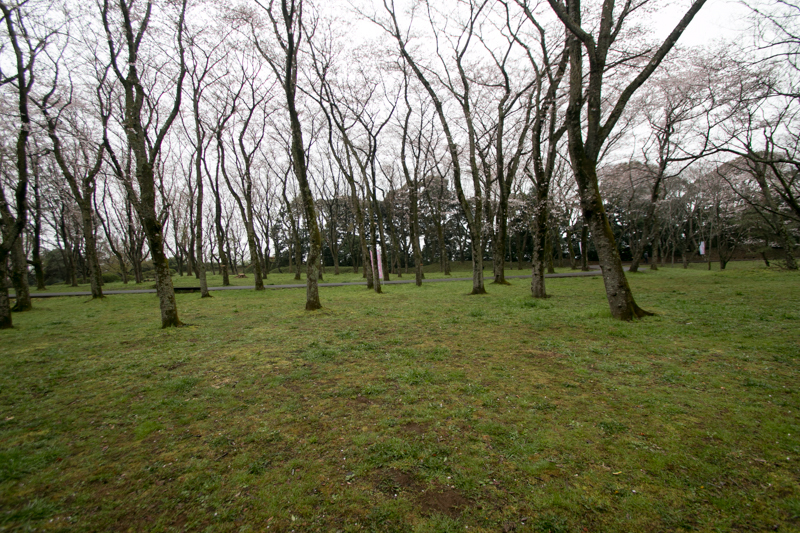 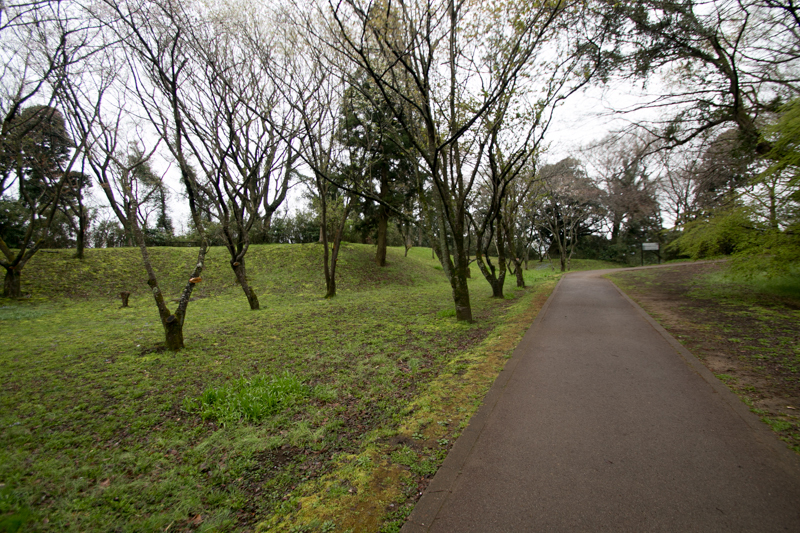 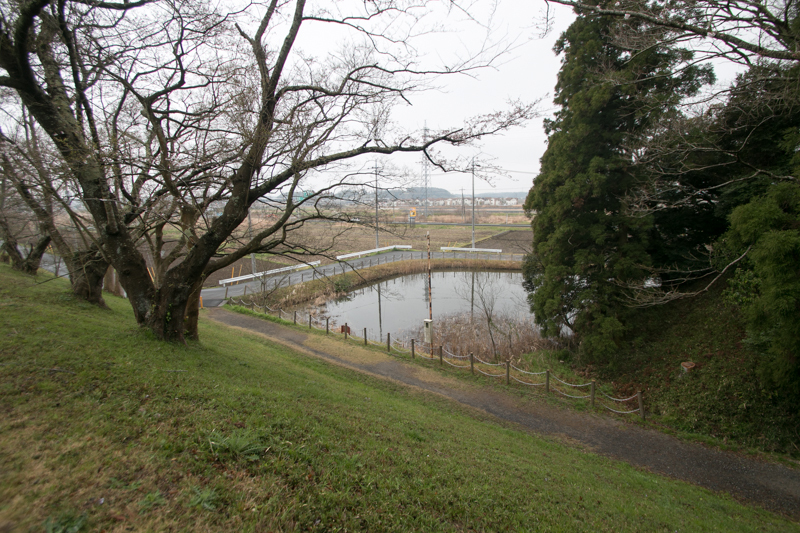 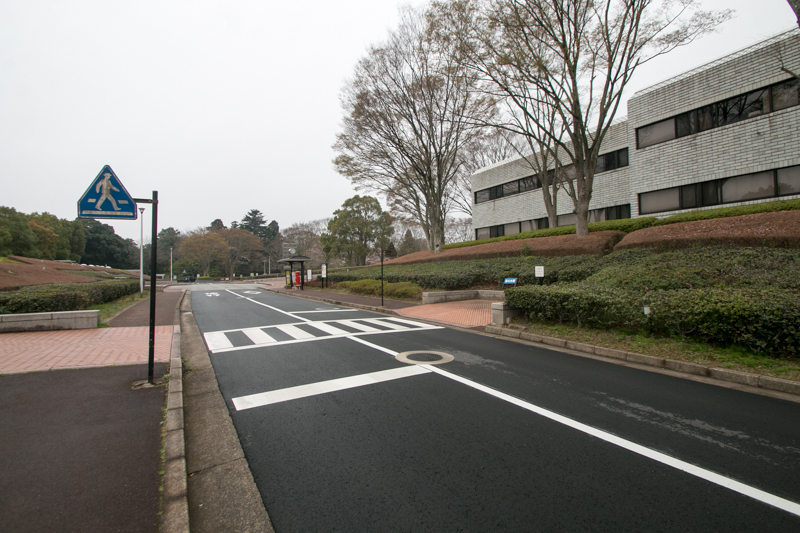 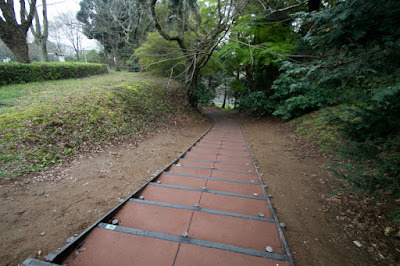 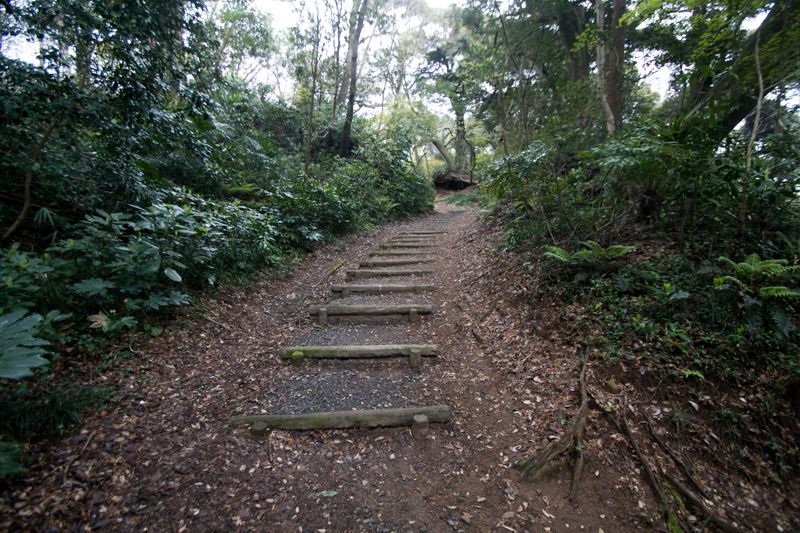 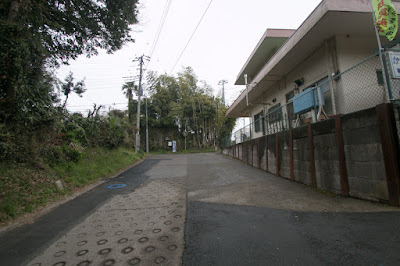 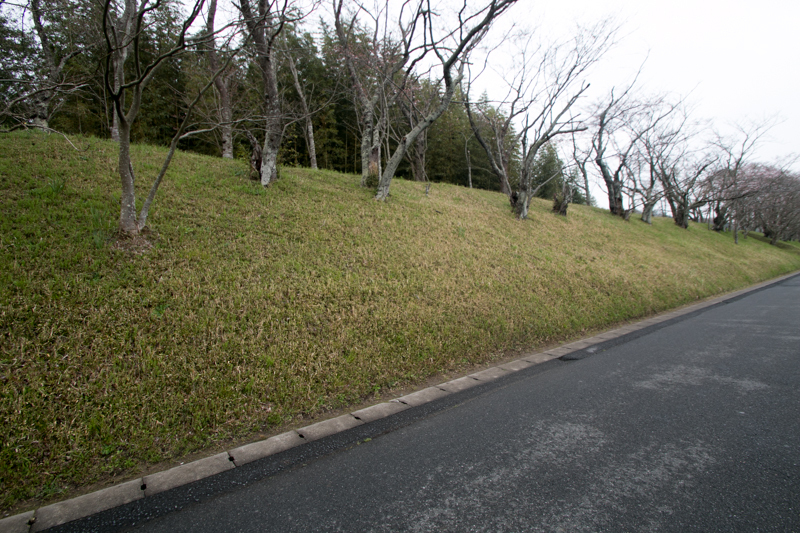 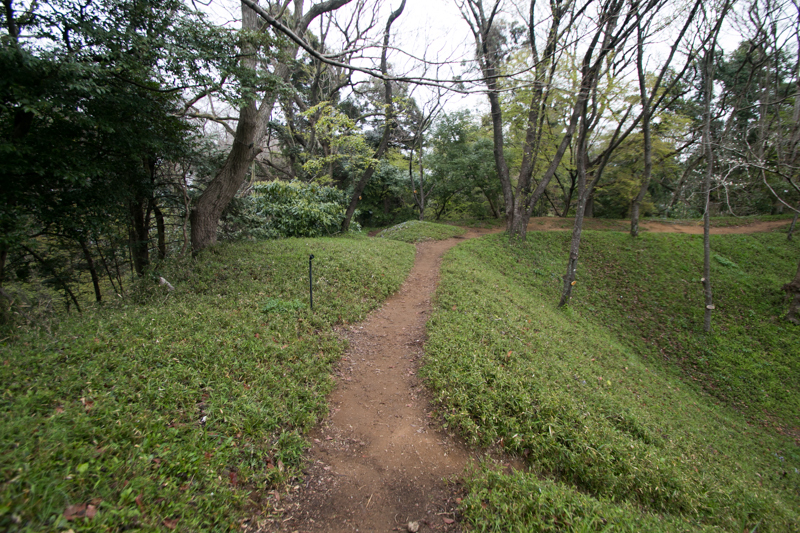 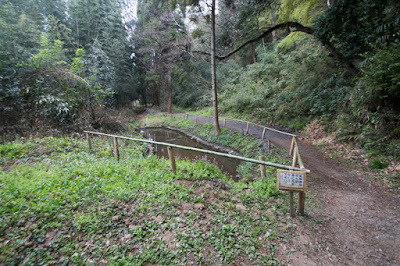 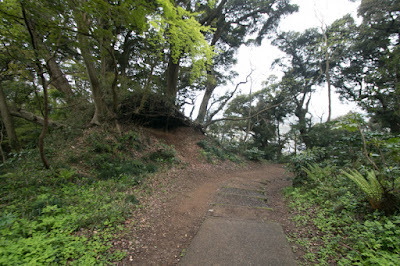 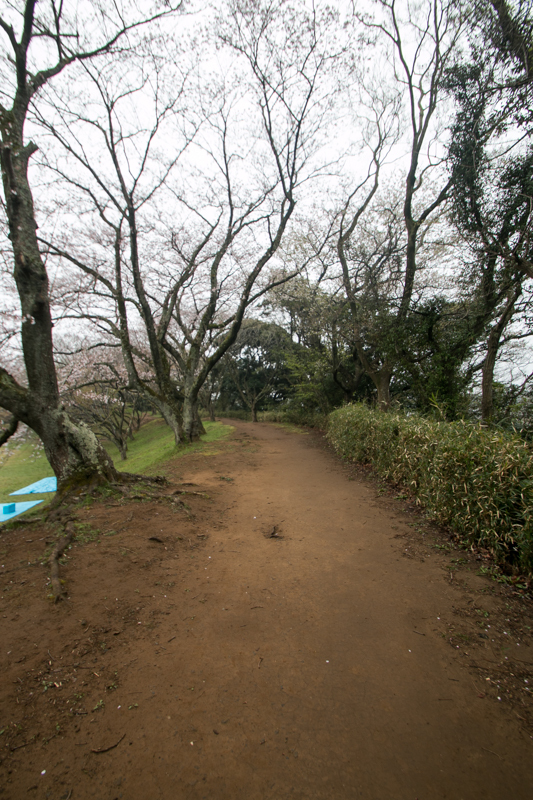 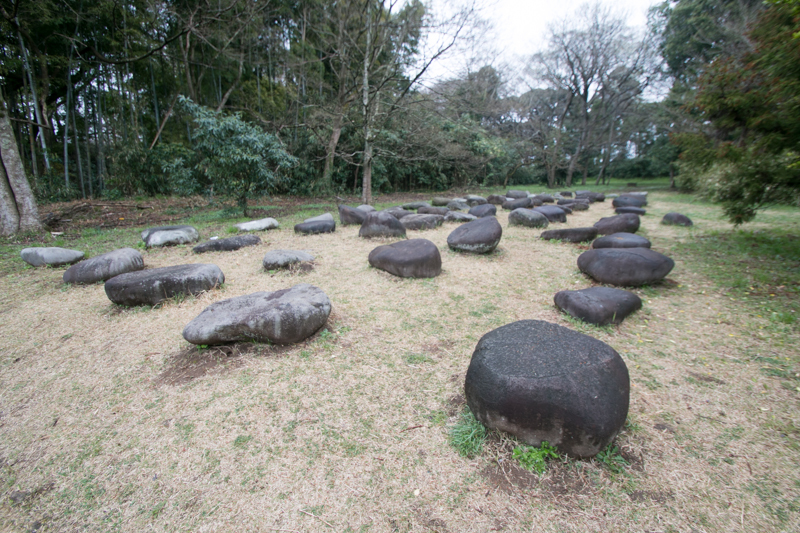 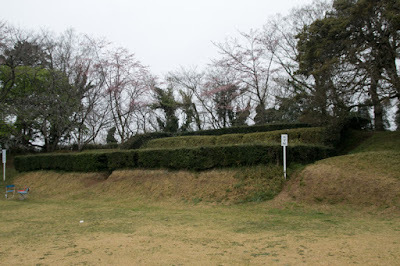 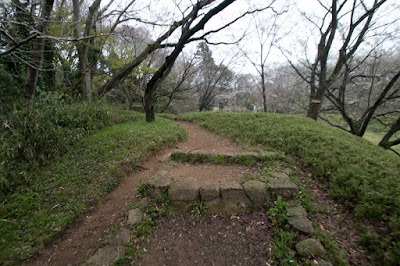 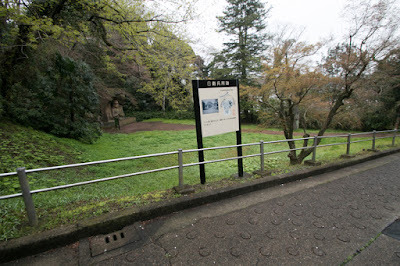 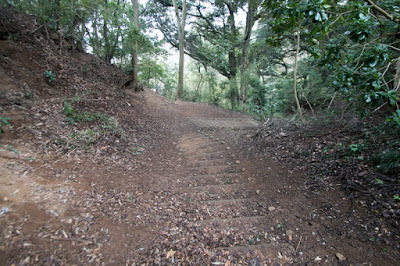 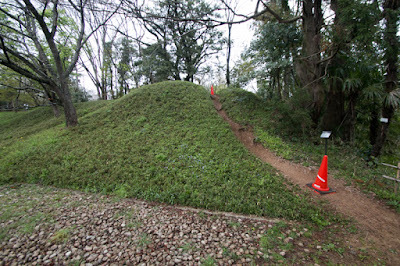 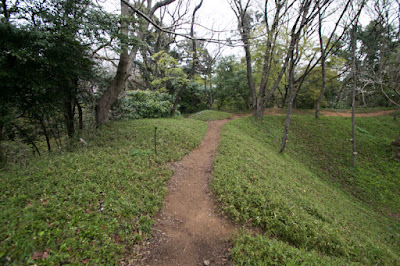 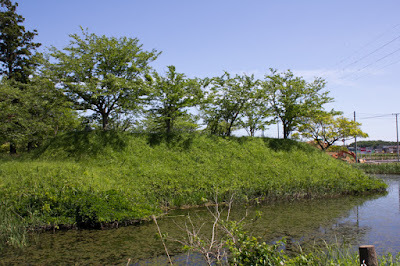 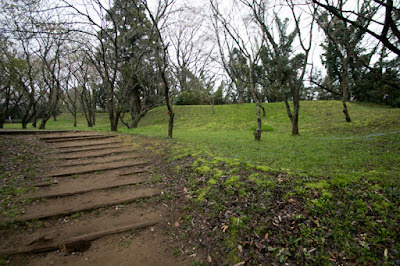 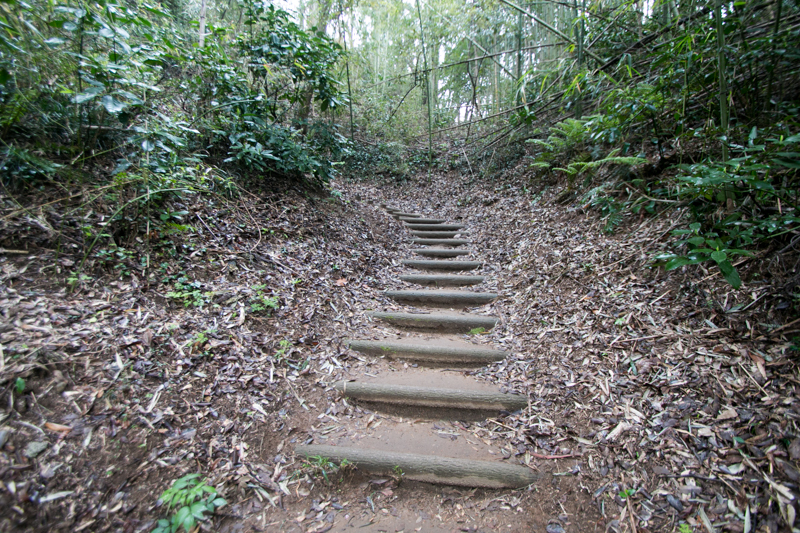 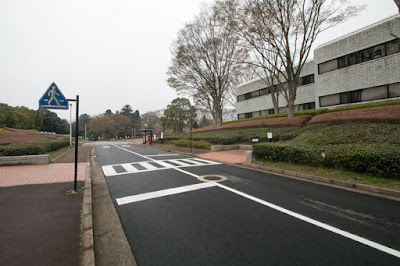 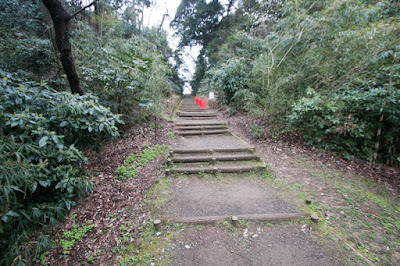 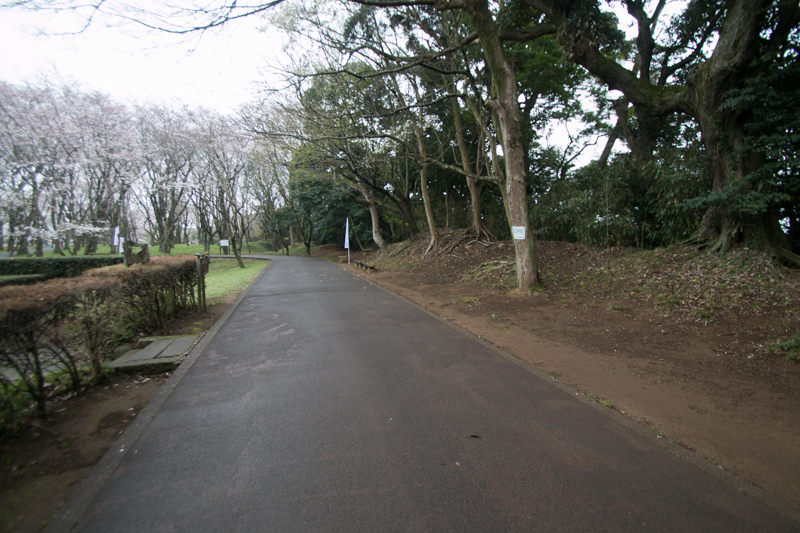 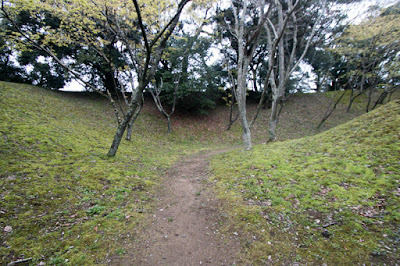 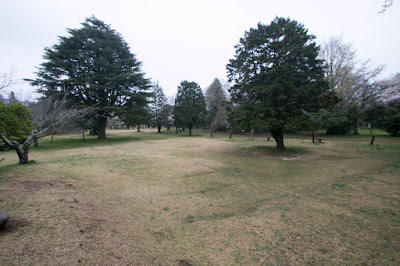 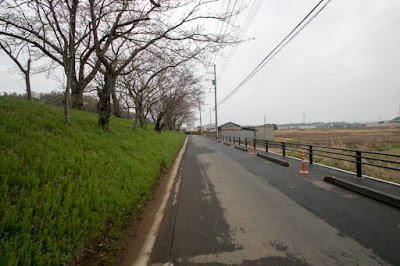 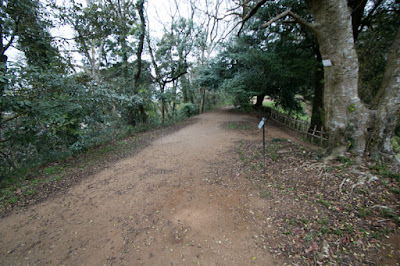 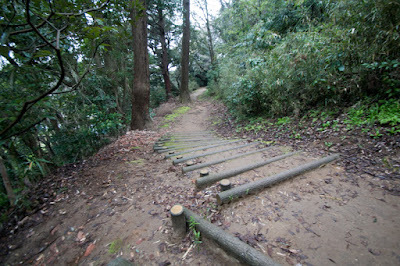 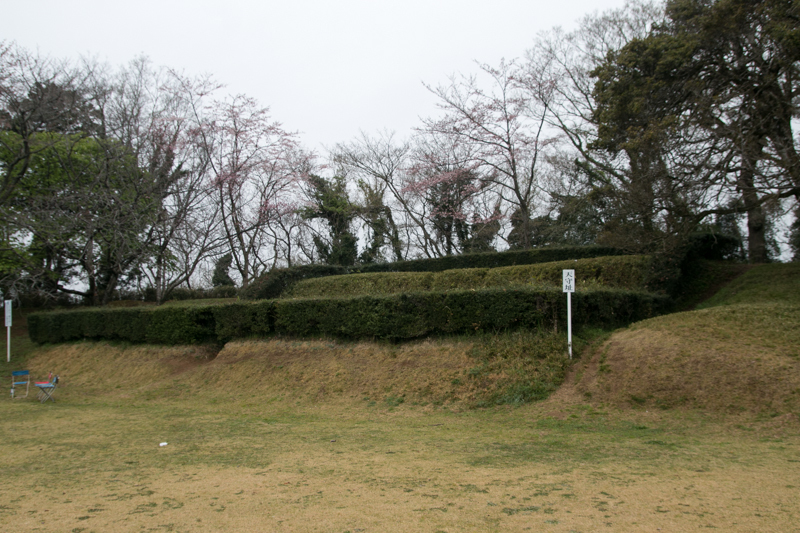 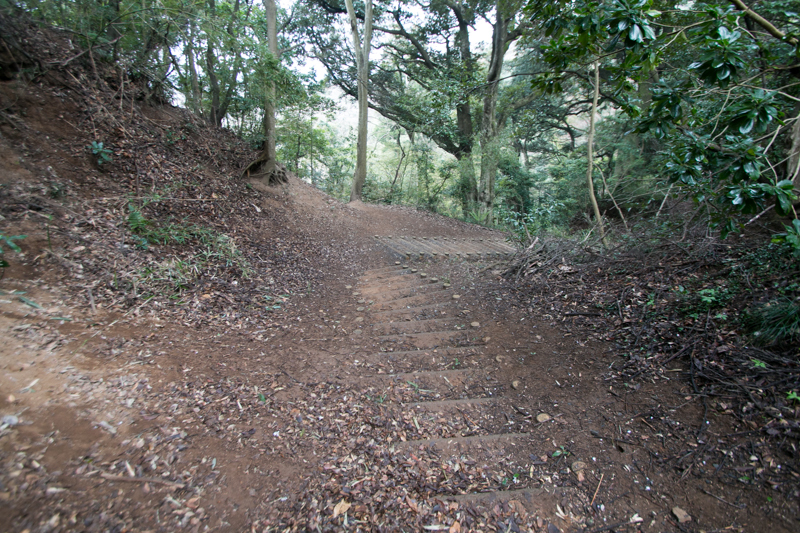 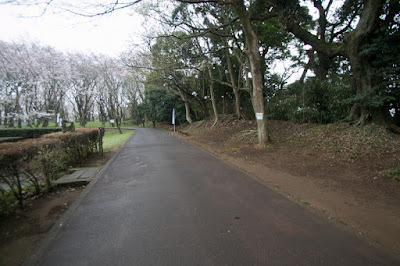 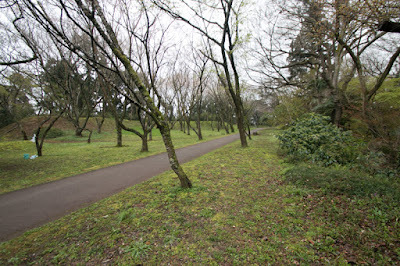 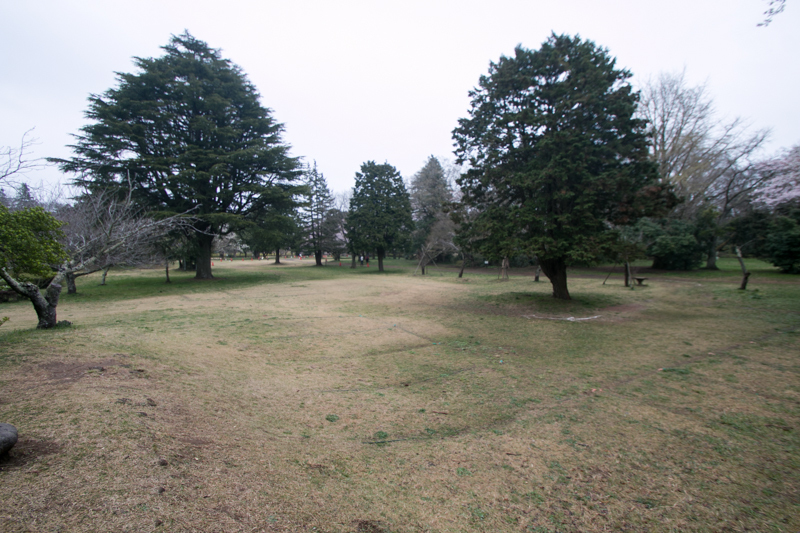 The shape of Kashimayama hill is L letter form, and main areas existed at the crossing point. 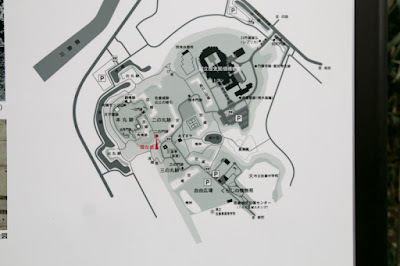 Central area was square shaped one surrounded by clay walls and dry moats, and there existed a three story turret substitute for main tower. 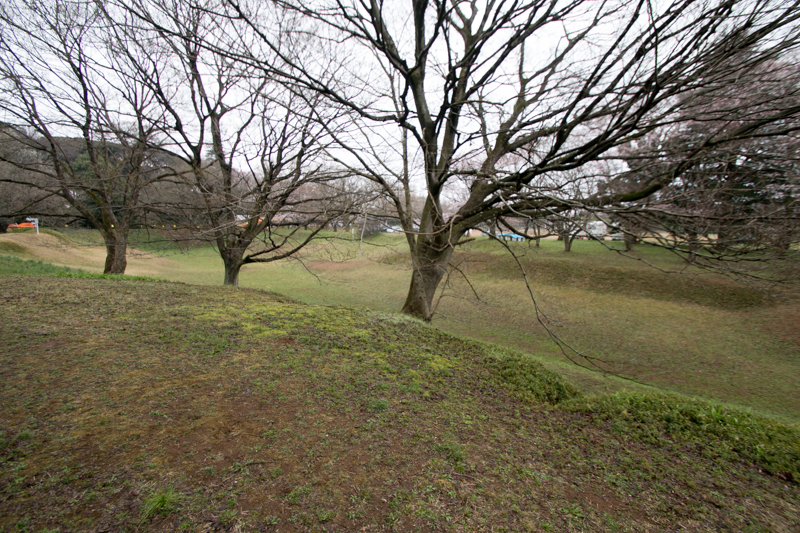 Secondary area existed in front of central area facing two ridges. Secondary area was separated by buffer areas from each ridge, and especially there was a huge barrier in front buffer area. 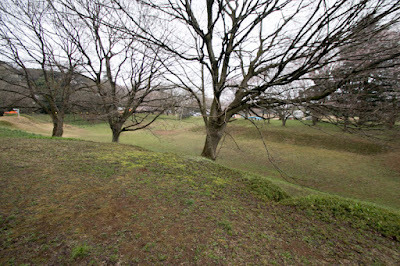 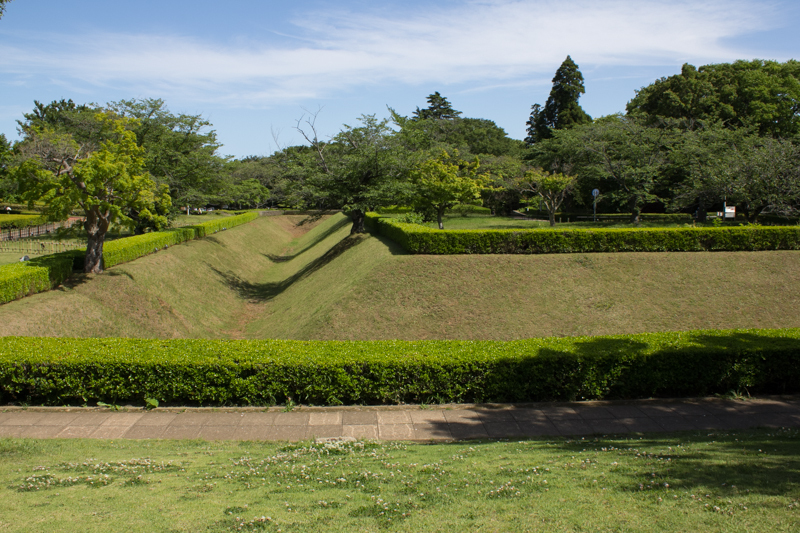 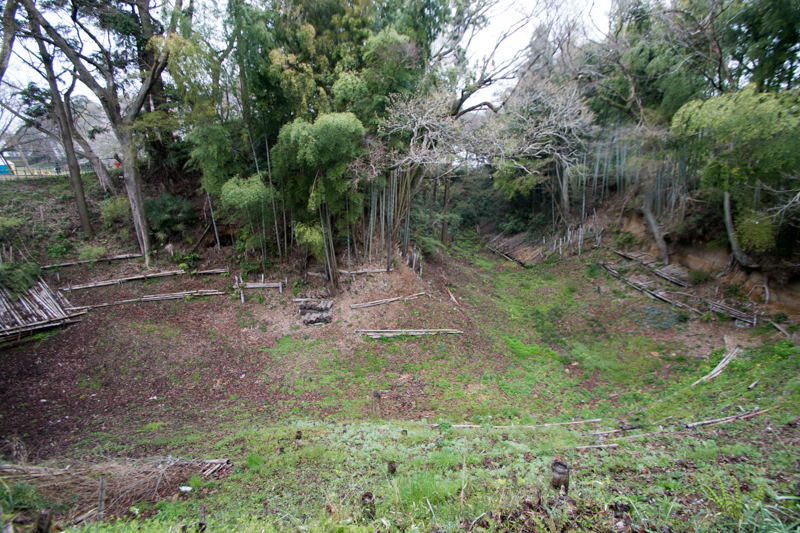 Remaining vast area of two ridges were shaped into wide space and used as palace or houses of high class retainers, and water moats surrounded whole hill. As the possibility of attack to this castle was low because whole area of eastern Kanto region was held by Tokugawa related lords, the defense facility of the castle was not so secure compared with other castles such as Odawara castle or Kawagoe castle. 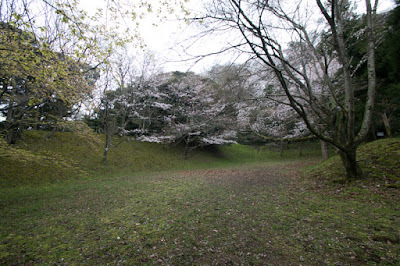 But Sakura castle was still the largest castle of Boso area throughout Edo era. As a large castle near Edo city, important person of Edo shoguate such as Tairo (grand minister) or Rojyu (minister) was appointed as a governer of this castle, and changed in line with retirement. Thus in the former half of Edo era, commander of this castle frequently changed and this castle worked like a official residence of minister. 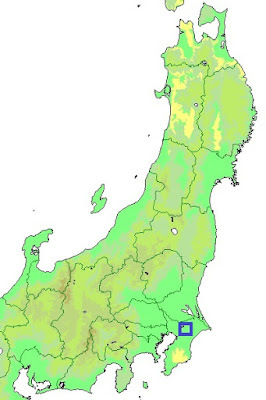 In the latter half Hotta clan was fixed as a governer. At the end of Edo era, Masayoshi Hotta (1810-1864), current leader of Hotta clan, became the first position minister and lead the opening of the country, but fell from power due to conflict with new grand minister Naosuke Ii (1815-1860). 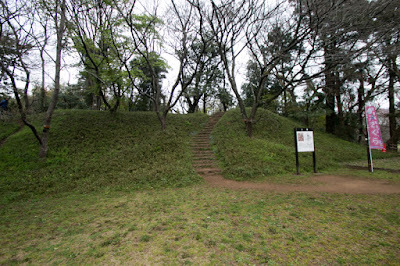 Subsequent to Meiji revolution, the site of the castle was used as a base of Japanese army, and all buildings and many structures were lost. 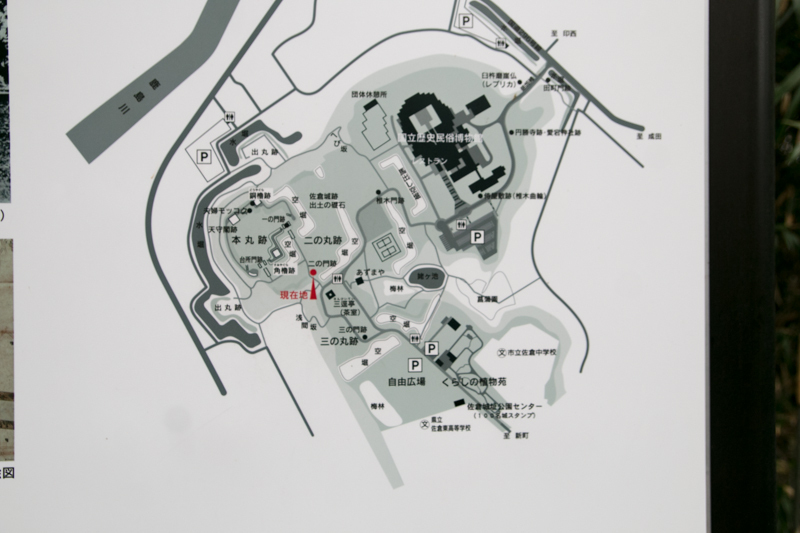 After WW2, National Historical Museum was built at the site of former outer area, and large barrier in front of the castle was restored. 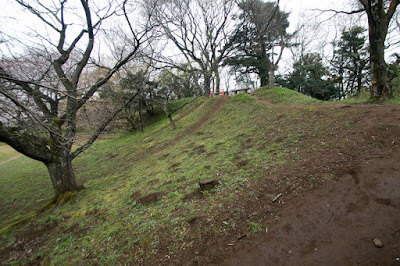 Now the castle became a place of recreation for citizens. 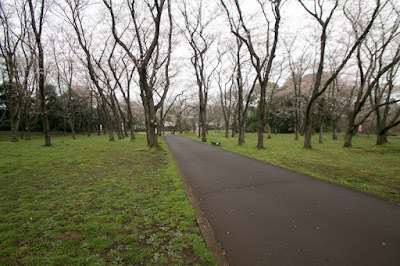 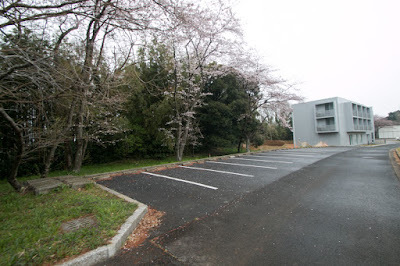 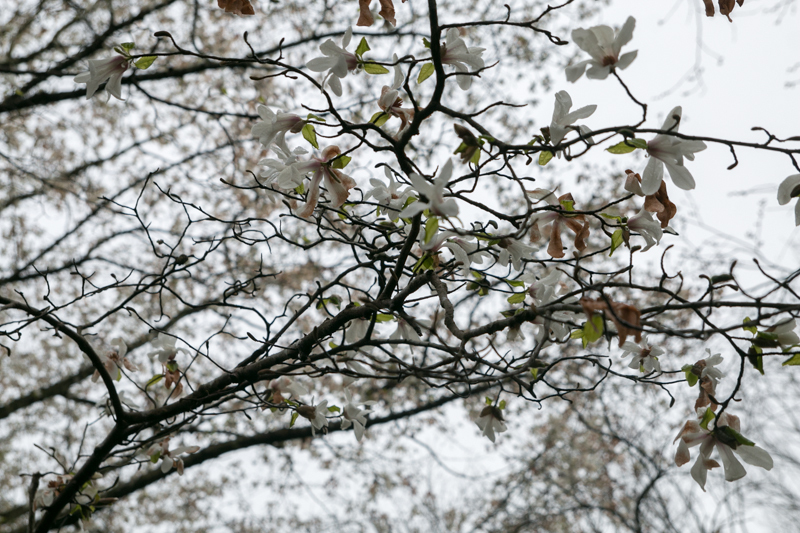 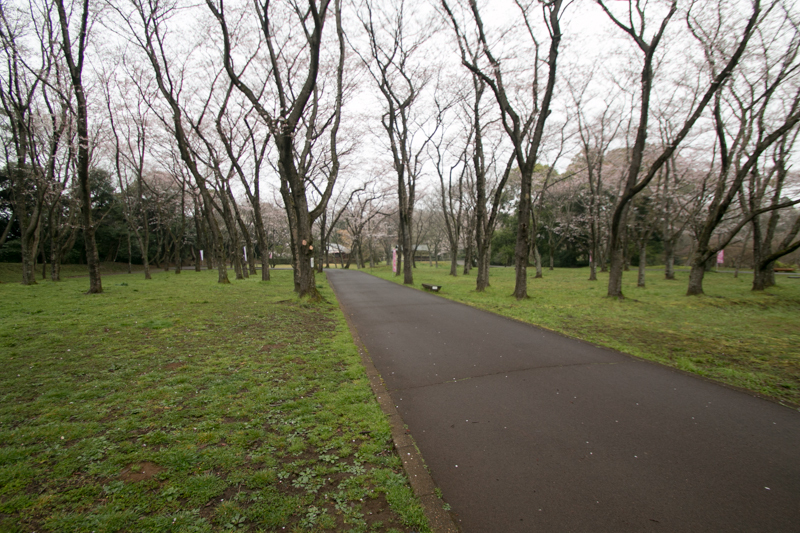 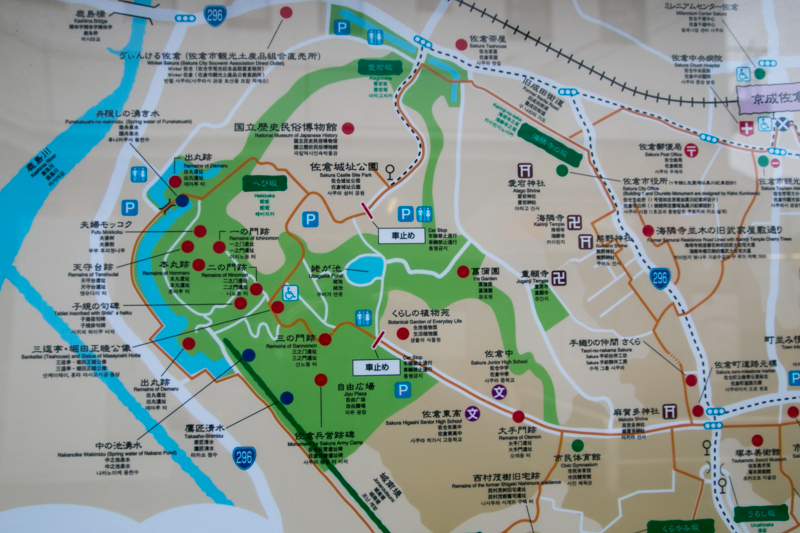 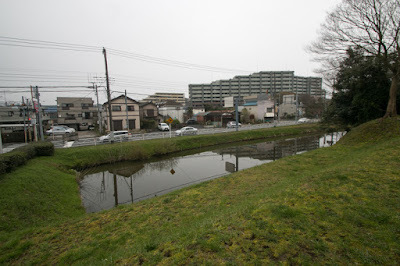 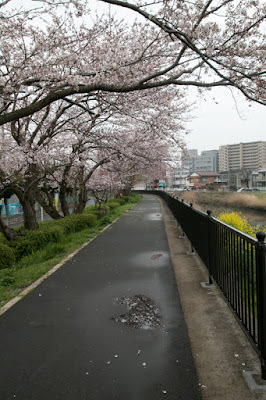 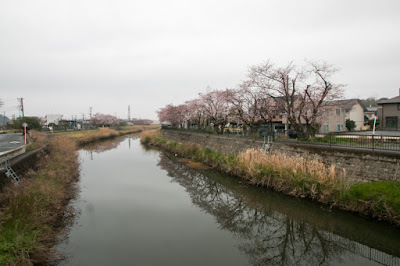 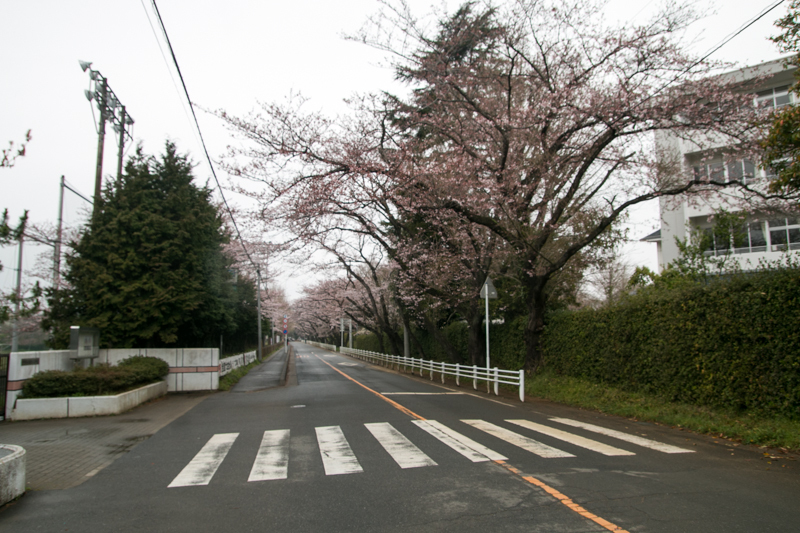 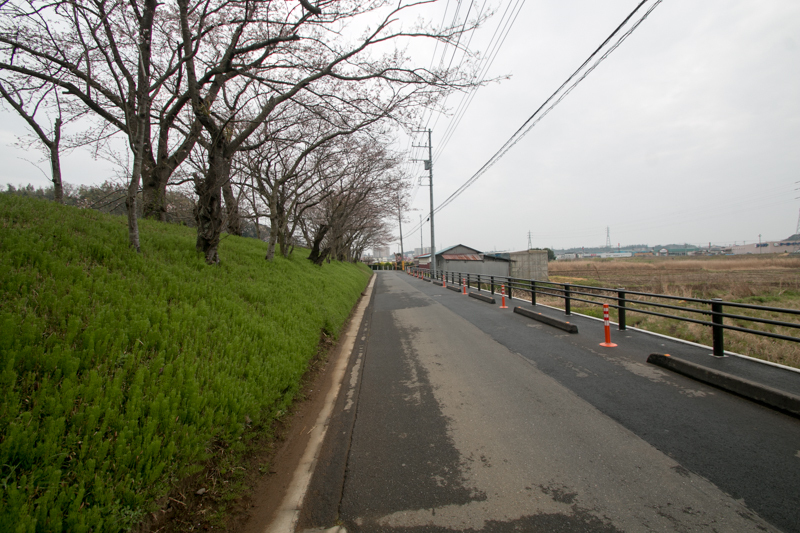 20 minutes walk from JR East Sobu-Honsen line Sakura station. 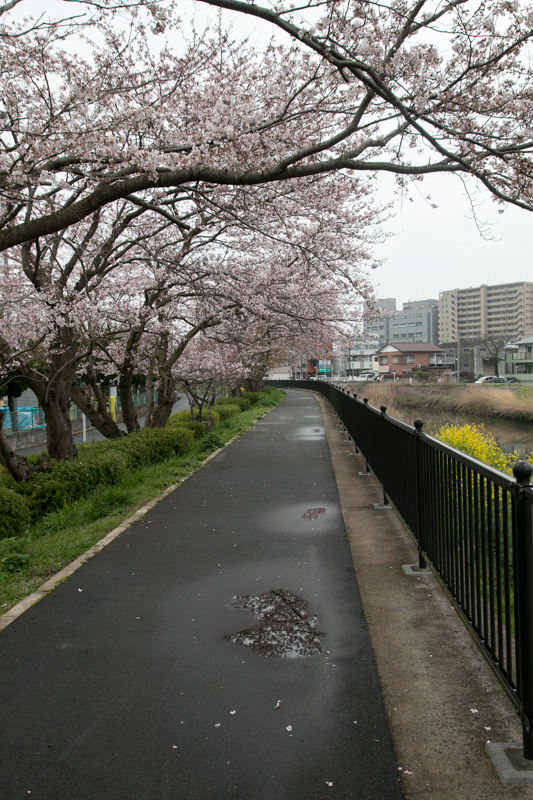 15 minutes walk from Keisei Honsen line Keisei Sakura station. 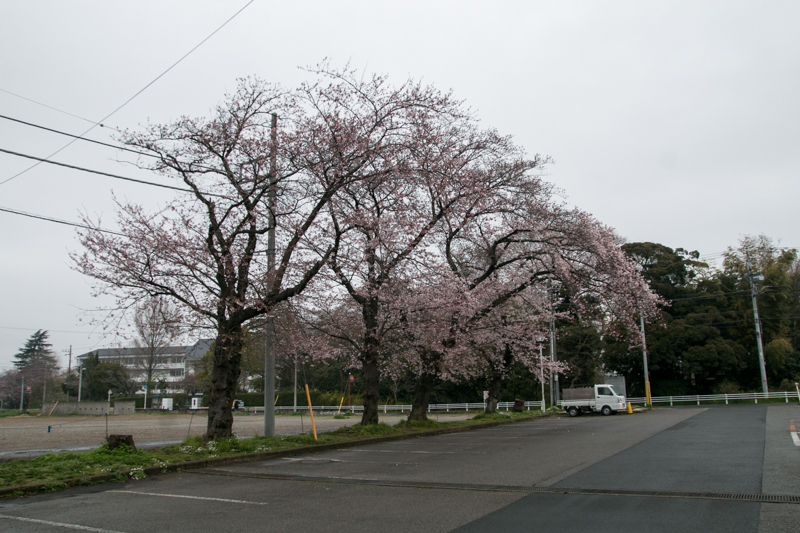 20 minutes drive from Higashi-Kanto Expressway Sakura interchange.